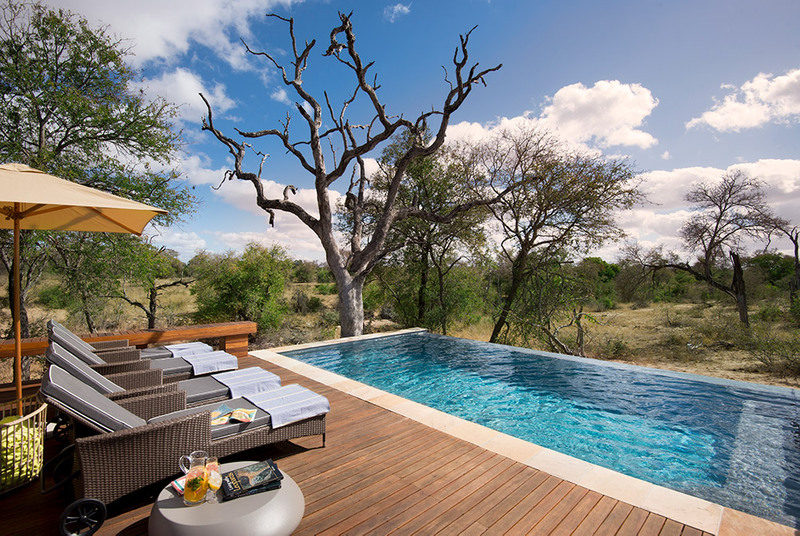 Timbavati is a 53 000 hectare private game reserve which sits on the western boundary of the Kruger National Park. Here you will find an abundance of wildlife and ecosystems, especially for nature lovers who want to see the famous Big Five. 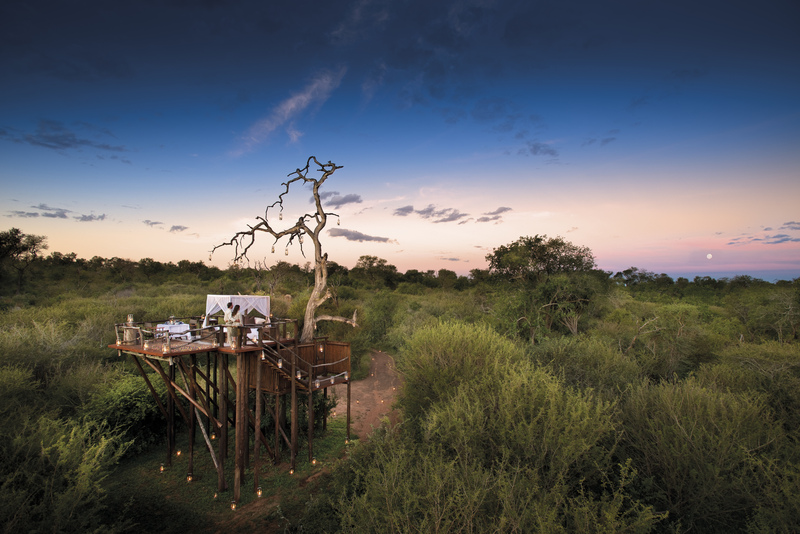 Timbavati Private Game Reserve was founded nearly 70 years ago when conservationists decided to transform unsuccessful farmland into a private game reserve. 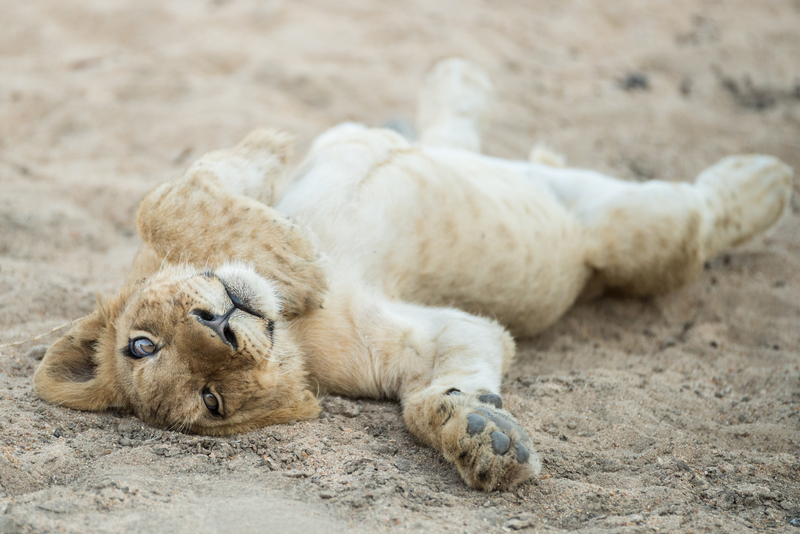 This successful story continued when the fences between the private reserve and the Kruger National Park were dropped to allow the area to form part of a much larger wildlife sanctuary. 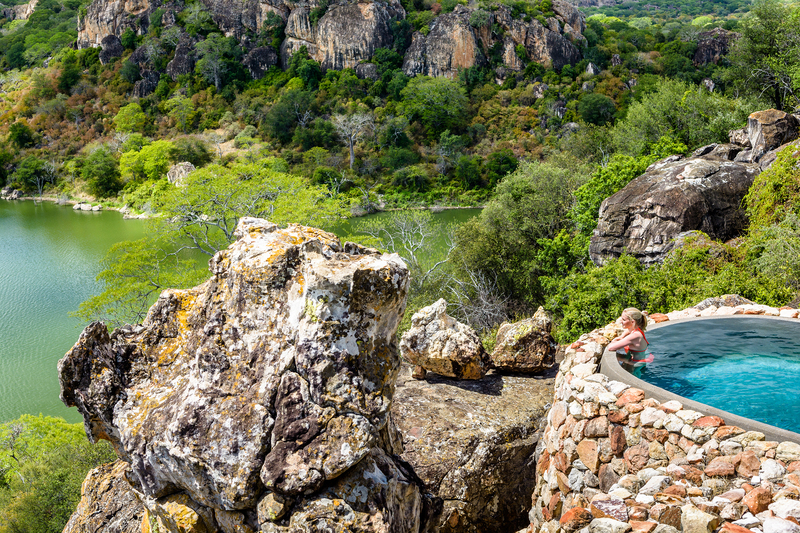 Now couples, families and wildlife enthusiasts flock to this bountiful reserve on exciting bush breaks, family safaris and photographic expeditions – staying at this month’s property of the month, Ngala Safari Lodge. 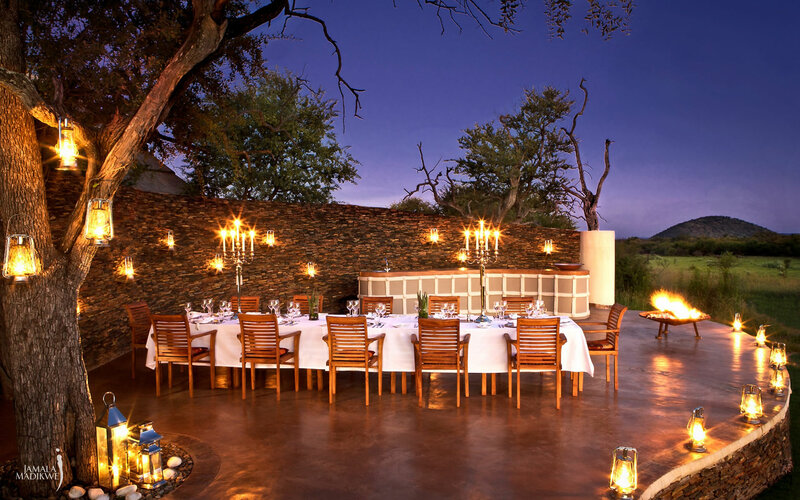 Situated in Timbavati Private Game Reserve, this lodge offers spectacular big game viewing because of the unfenced border. 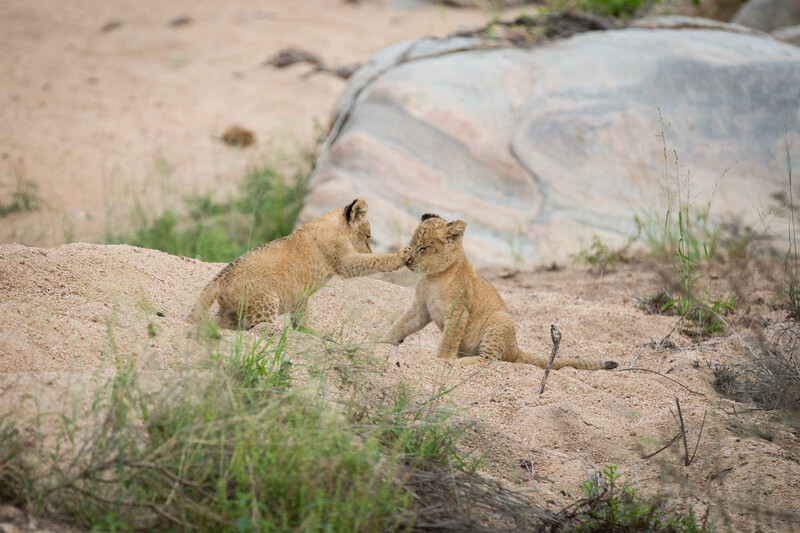 Guests celebrate the sightings of elephants, rhinos, buffalo, leopards, cheetahs, African wild dogs and Timbavati’s very own rare white lions moving through the expansive land! 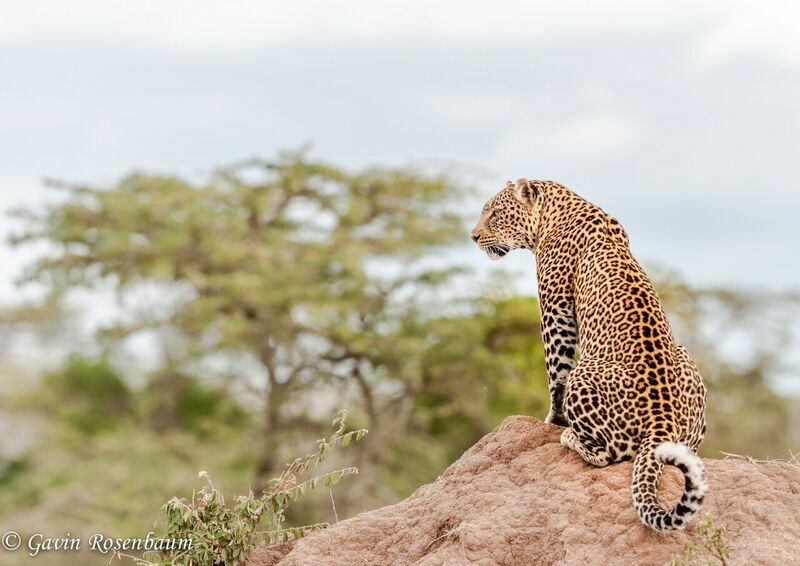 This is what makes Ngala Safari Lodge so special – the possibility of catching a glimpse of these rare beauties. 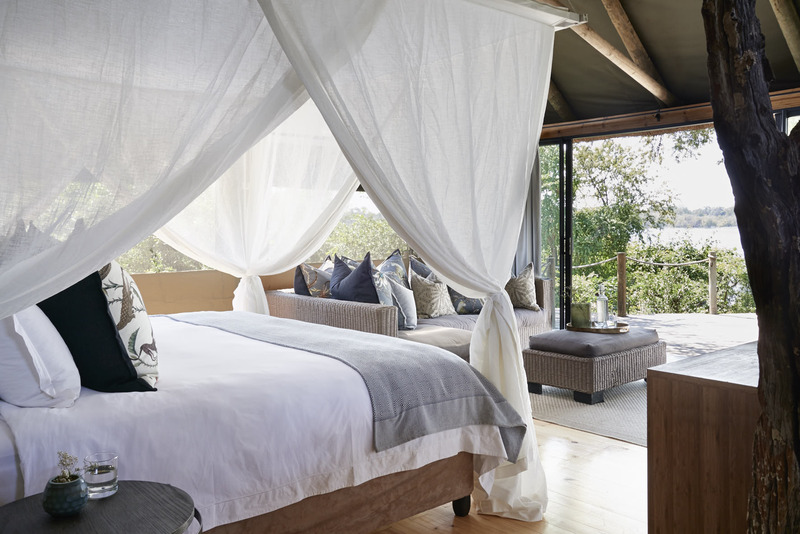 But this isn’t the only reason this lodge is our property of the month… Ngala Safari Lodge is perfect for first-timers. 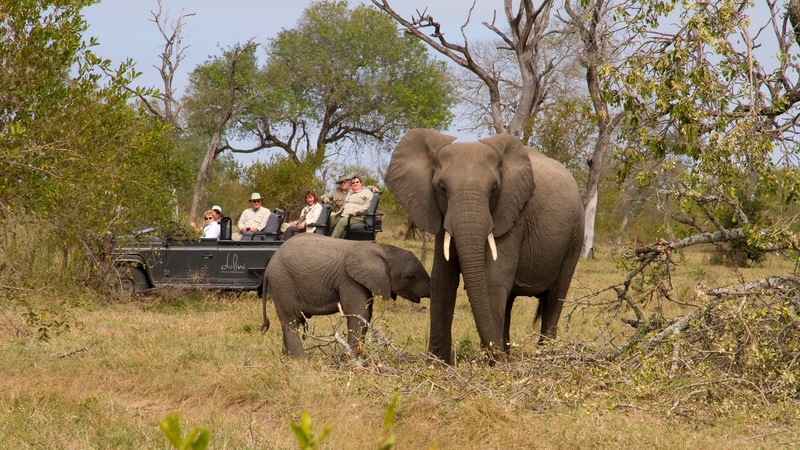 Guides will take guests on sensitive off-road drives to get close-up game sightings. 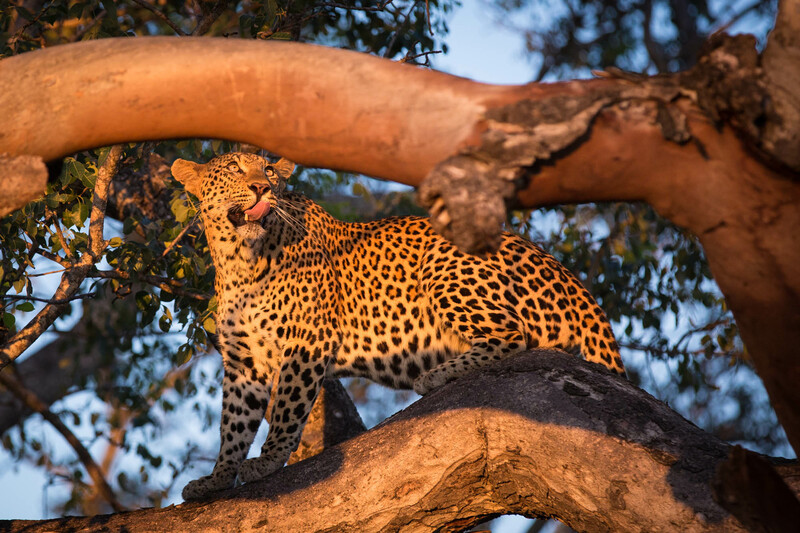 If you’re more of a night own or your to-see list is filled with nocturnal animals, late afternoon game drives can continue into the dark expanse of the night. 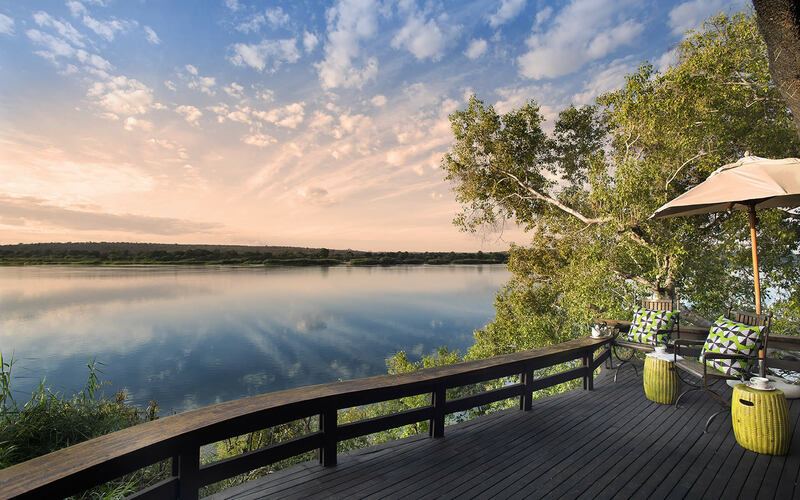 Not only will you see animals roaming freely between the Kruger National Park and Timbavati, but guest areas overlook a private waterhole that provides exiting sightings from the comfort of your deck chair. 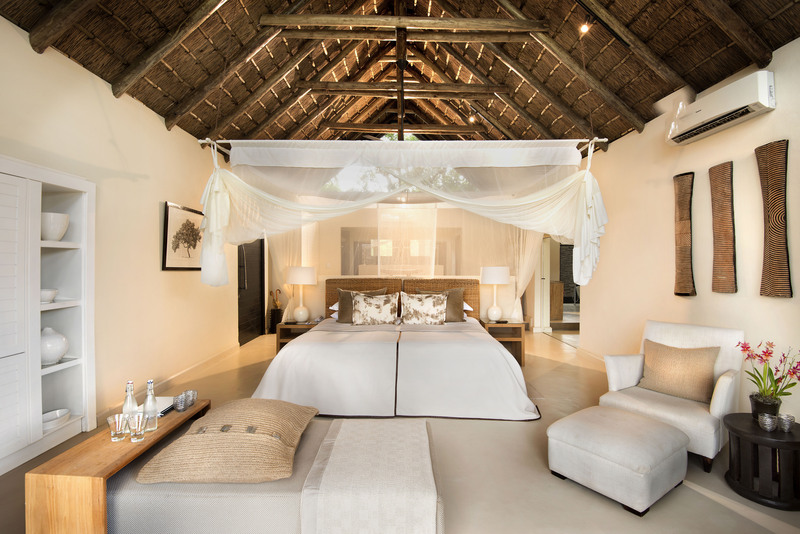 And if you place more emphasis on where you will rest your head than what you will see, the thatched cottages provide a classic old-world charm taking inspiration from colonial-style design and décor. Tastefully decorated, your attention is drawn to the antiques. 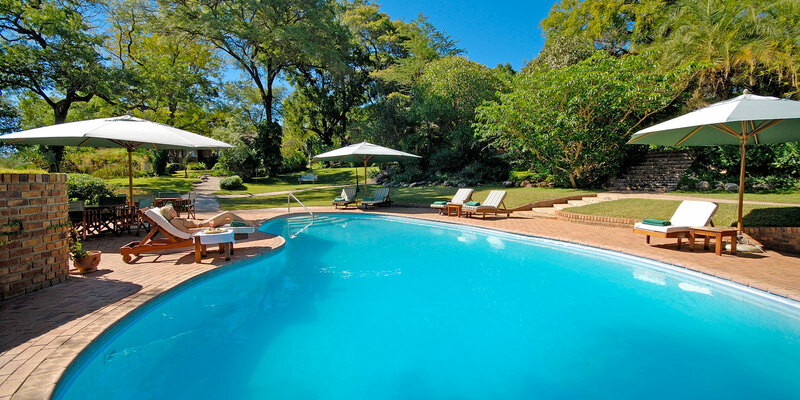 Ngala Safari Lodge is renowned for its excellent accommodation and service, offering guests that Silver service from a time gone by, perfectly complimenting the gracious atmosphere. 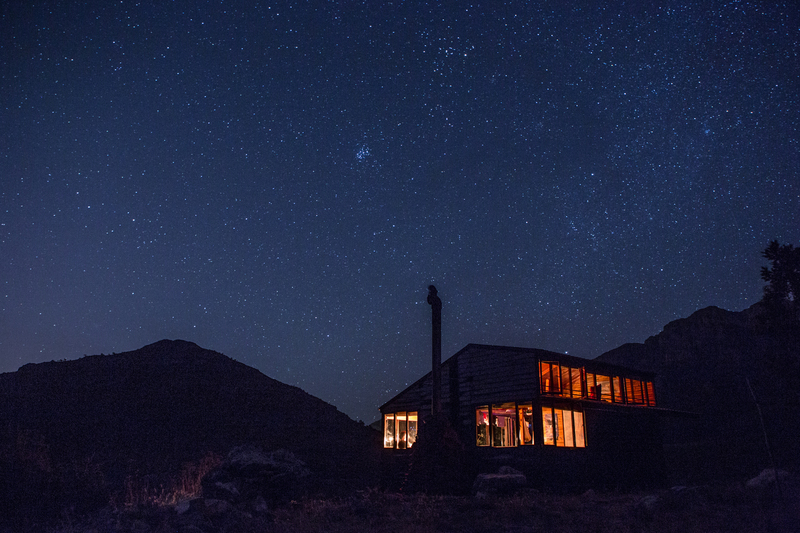 The magic and mystery of this quaint lodge creates a feeling of both nostalgia and romance. 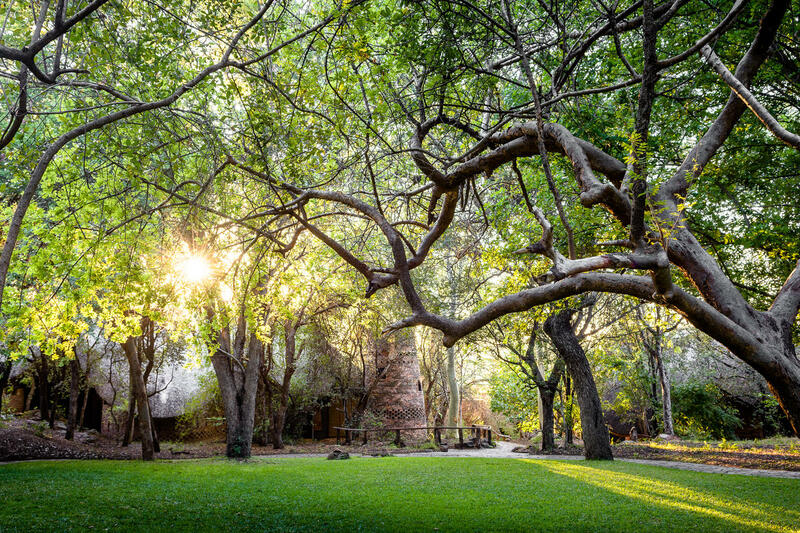 Time stands still at this royal property as the cottages fuse effortlessly with the rugged natural setting as the manicured lawns merge with the raw African bush, Mopane thickets and wildlife. 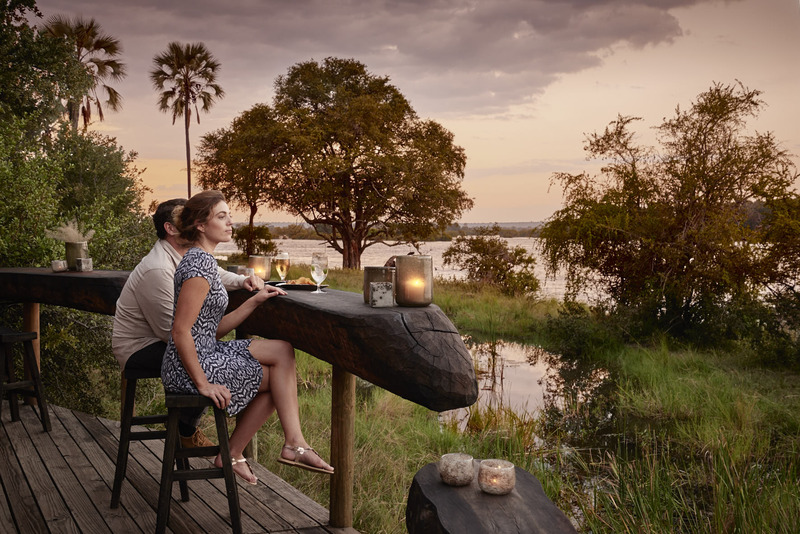 Relax on your private veranda and soak up the romantic ambiance before ending your night around the boma or under countless lanterns and candles nestled between the trees. 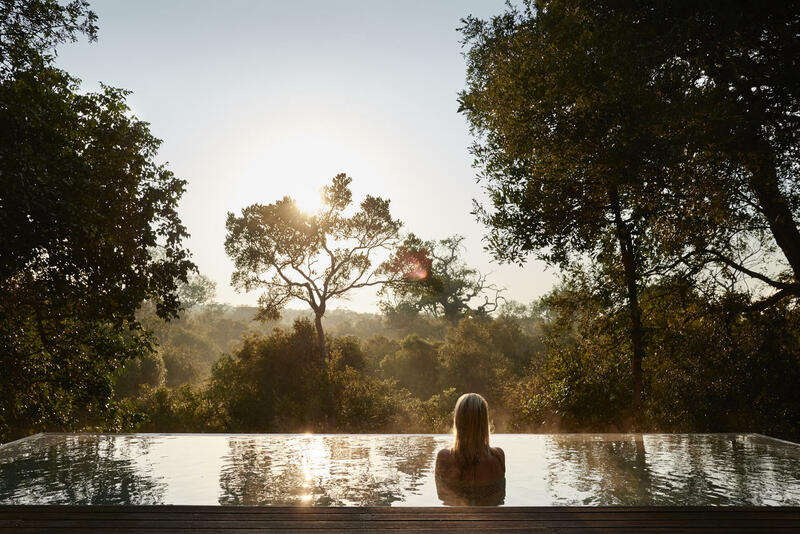 Before you leave, take the opportunity to properly distress with a relaxing massage at the lodge spa or embark on scenic helicopter flight and soar over the picturesque landscapes. 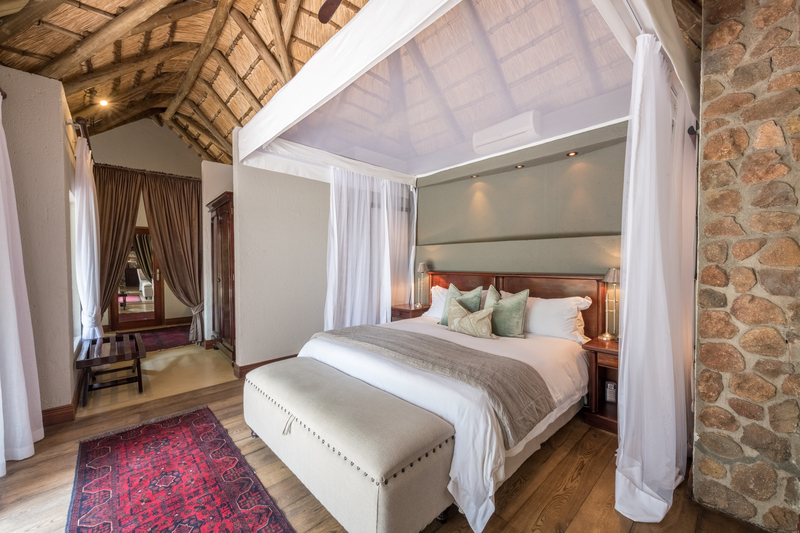 We are thrilled to announce that The Royal Portfolio is welcoming a wonderful and exclusive new addition at Royal Malewane – The Farmstead. 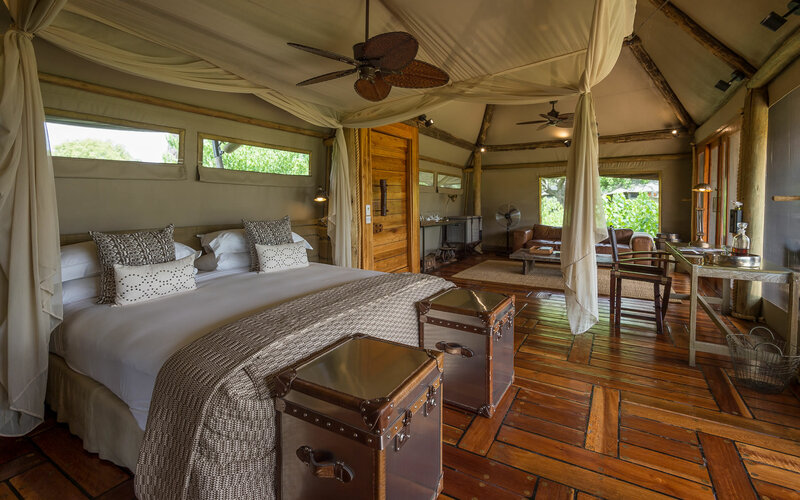 This new safari lodge is a short 12 minute drive south of the existing lodge and will open on 1 June 2019. 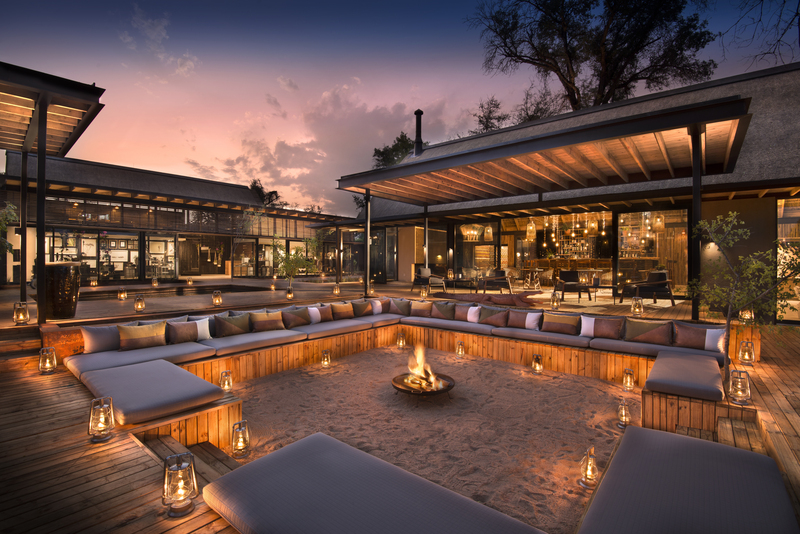 This homely, yet luxurious lodge overlooks a watering hole frequented by an abundance of popular wildlife and offers unobstructed views of the Kruger National Park. 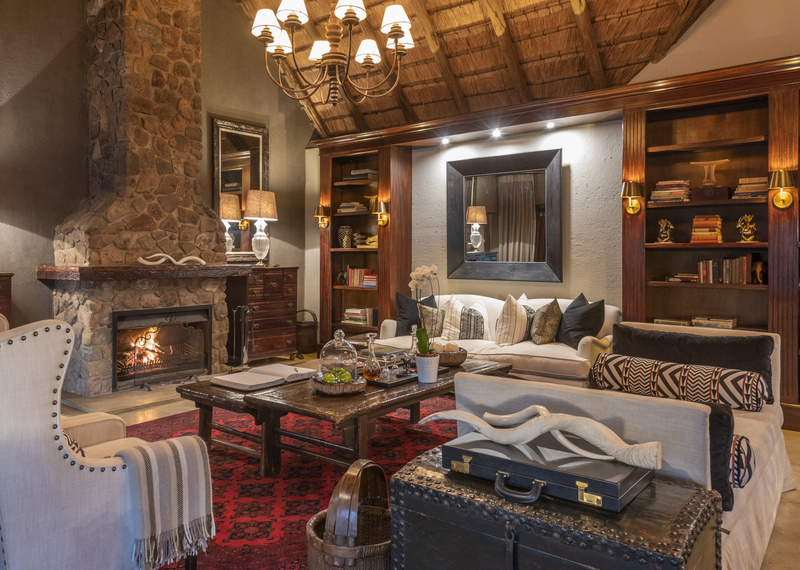 The character of The Farmstead can be described as rustic luxury with the finest service and remarkable cuisine that guests have come to expect over 20 years at Royal Malewane and synonymous with The Royal Portfolio’s excellent standard. 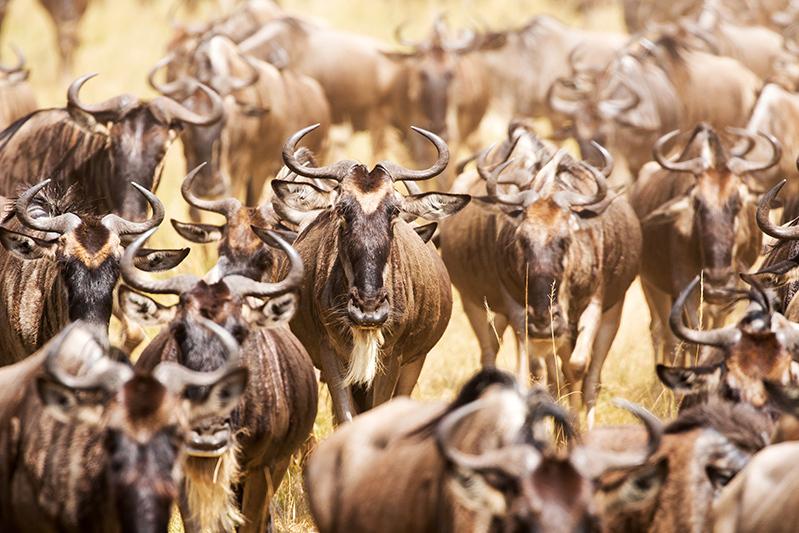 Guests are guaranteed the same incredible safari experience with the most qualified guiding team in Africa. 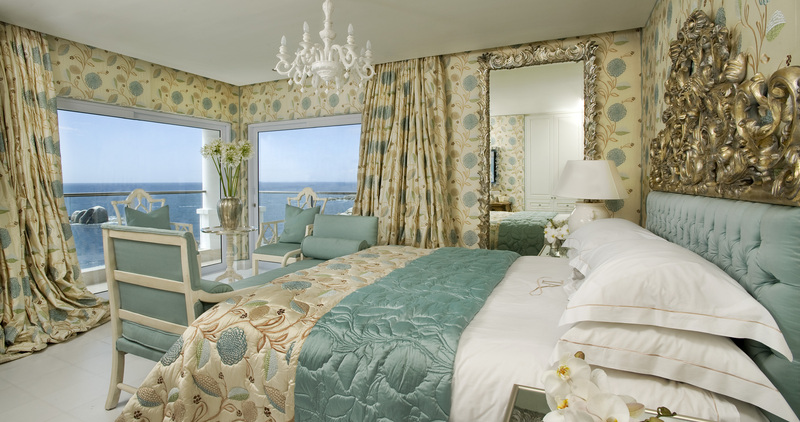 You’ll finally know what it’s like to be transported to a place with old-world charm and elegance. 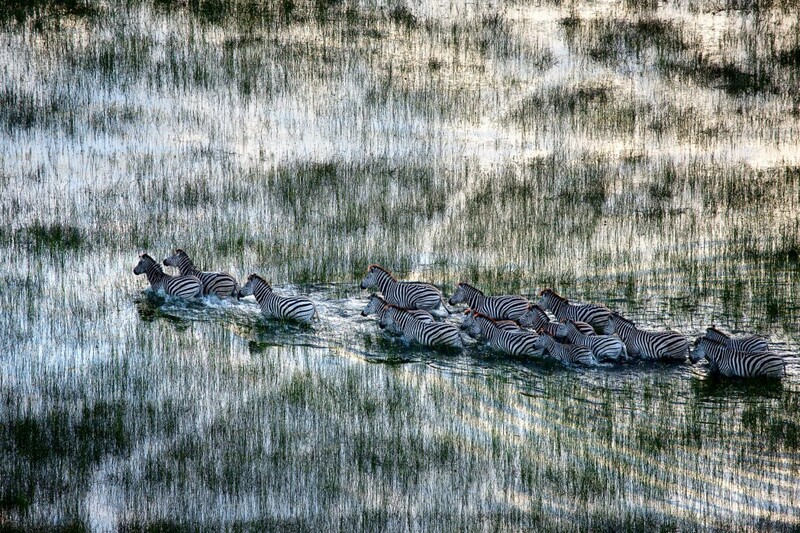 The land is elevated leaving you feeling like you are soaring above dramatic canopies, showing you a bird’s-eye view of the rolling plains and savannah grasslands. 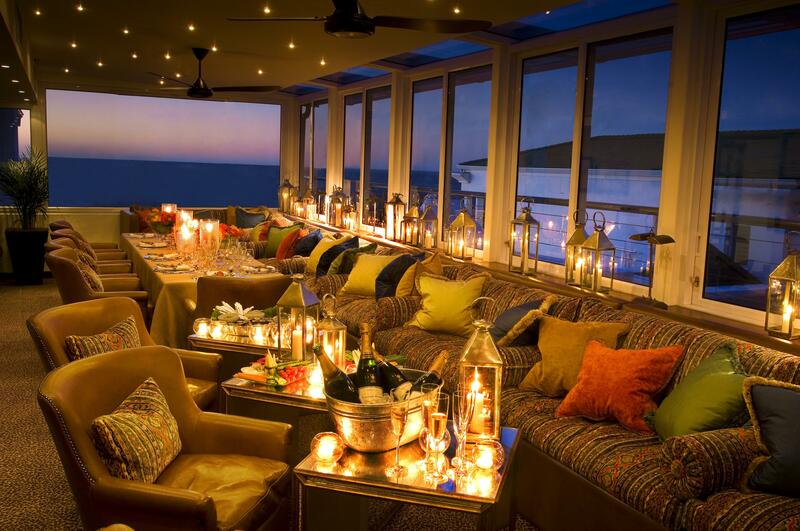 What better place to enjoy the ultimate Big 5 with the whole family. 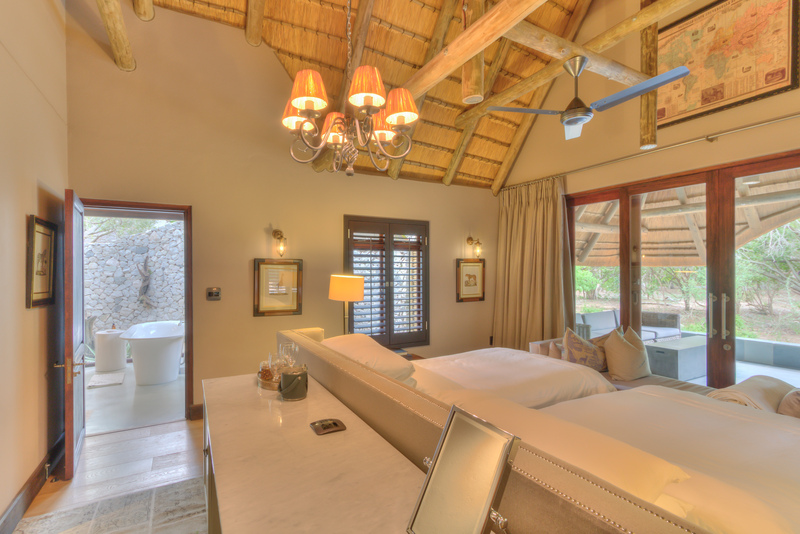 The Farmstead at Royal Malewane consists of three Luxury Farm Suites and The Farmhouse on either side of the main lodge area. 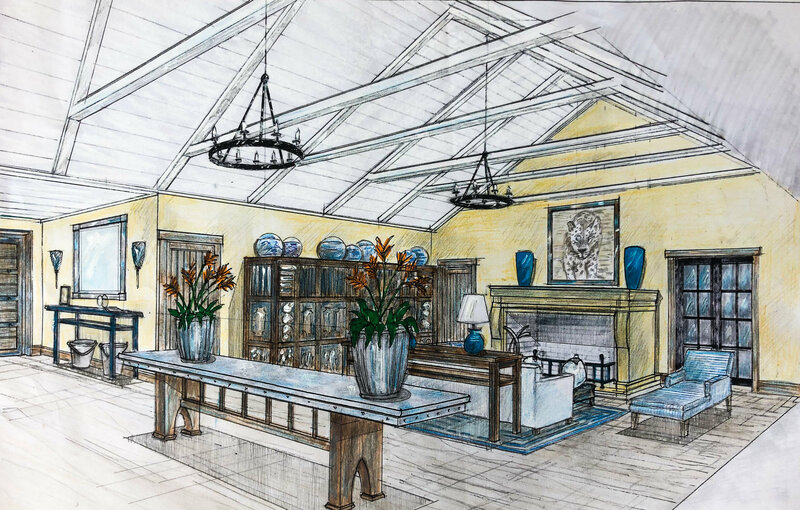 Three times a day you can meet up here to relax and enjoy breakfast, lunch, afternoon tea and dinner in the most elegant and comfortable space with fantastic views of the abundant wildlife. 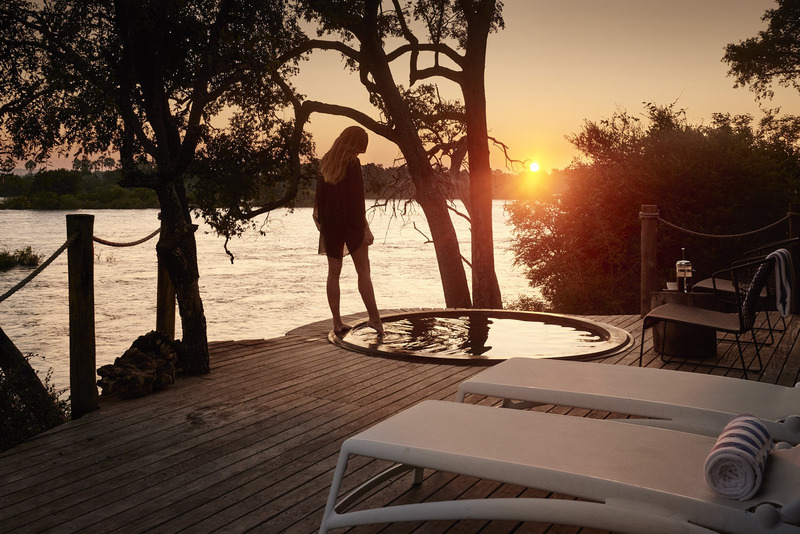 This is just a taste of the Kruger’s grandeur – until the stars start coming out and you are welcomed around the fire pit to reflect on the days adventures. And if you need some downtime from all the amazing outdoor activities, the main lodge area has a world-class double spa treatment room Guests can choose between one of four individual units or the exclusive use of The Farmstead which is ideal for up to 14 guests. 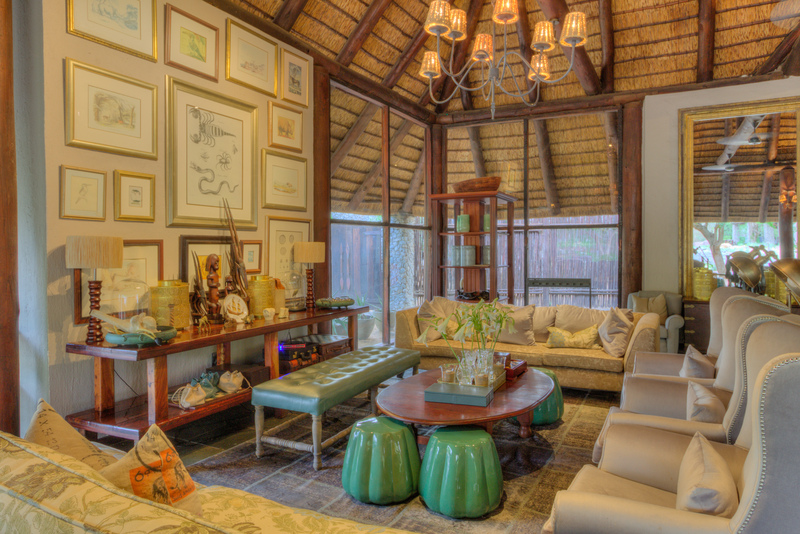 Liz Biden, owner of The Royal Portfolio, has already acquired much of the eclectic furniture and original art. 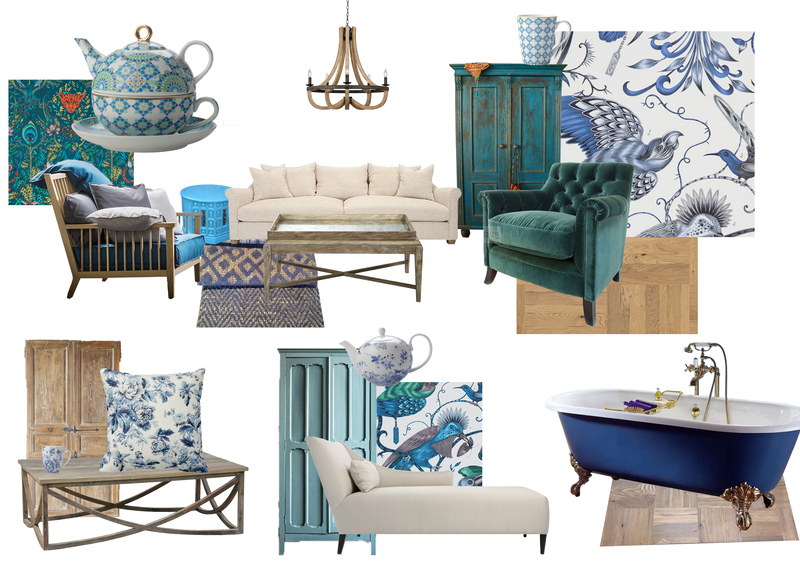 Commenting on the unique style, Liz Biden said, “Expect light oak, tin rooves, wrought iron, original artwork and gentle hues of blue and white with Royal Blue, Indigo and Turquoise patterns adorning the fabrics of the comfy sofas on wide verandas that echo a bygone era where time moved slowly and days evolved with the natural rhythm of the African wilderness.”The Farmstead will redefine luxury safari accommodation with a completely different design and style to other lodges in Africa. 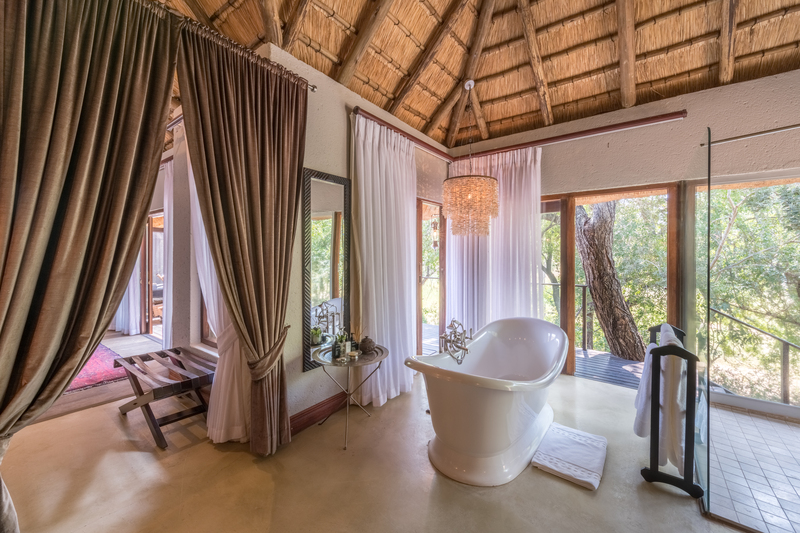 There are three Luxury Farm Suites, each with a royal-sized bedroom and an en-suite bathroom with under-floor heating for those chilly mornings, a bath for those needing to submerge themselves under some bubbles, as well as a romantic outdoor shower. 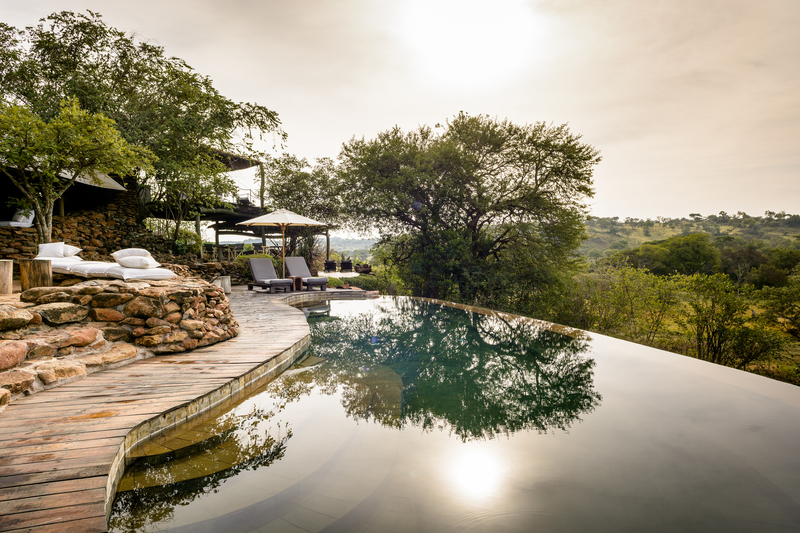 There are large front and back verandas as well as a beautiful deck and a private pool overlooking the bush where animals roam freely. Children over 10 are welcome in the Luxury Farm Suites. 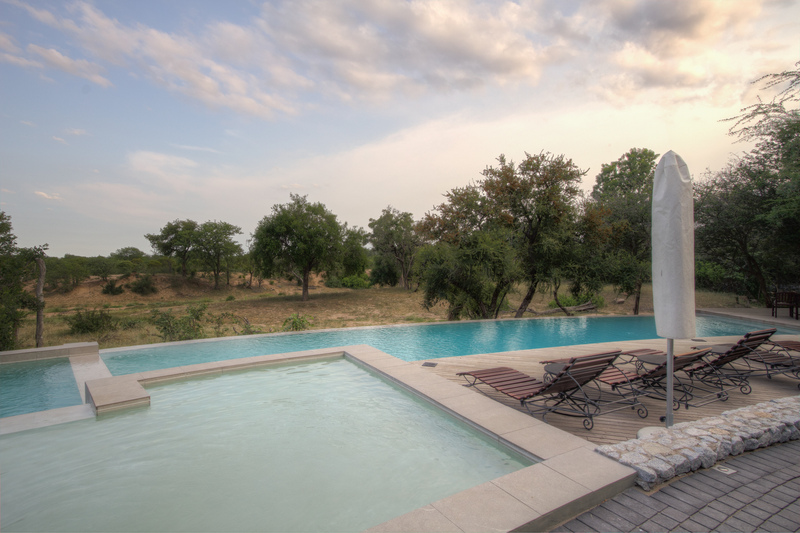 The Farmhouse is a three and a half bedroom private villa which is ideal for families or a group of friends. The Farmhouse has its own private services including a chef, housekeeper and butler. 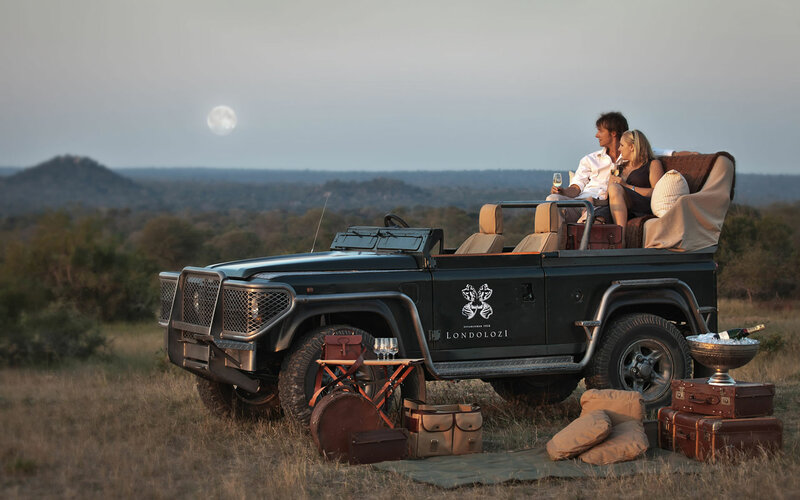 Guests will have their own private safari vehicle with their own private Ranger and Tracker ensuring the ultimate luxurious experience. There are three main bedrooms as well as a children’s room. 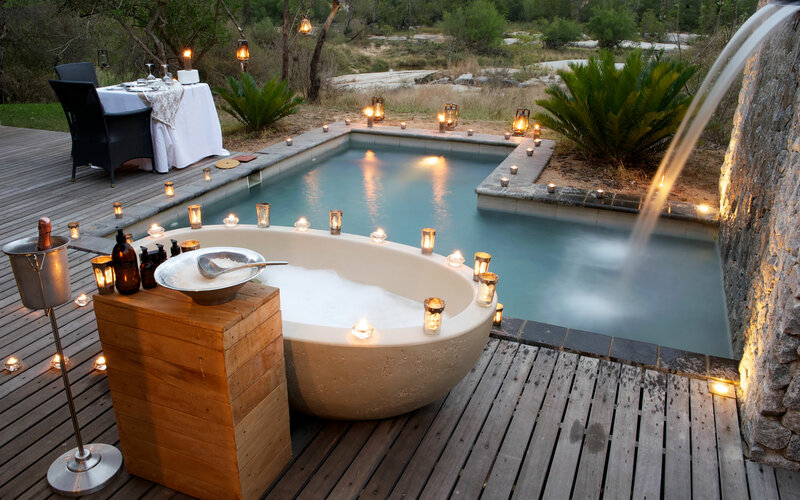 There is a magnificent deck with a large swimming pool flowing out into the bush. Children of all ages are welcome in The Farmhouse. In keeping with The Royal Portfolio’s Purpose and Values, The Farmstead is part of a broader project to uplift local communities. 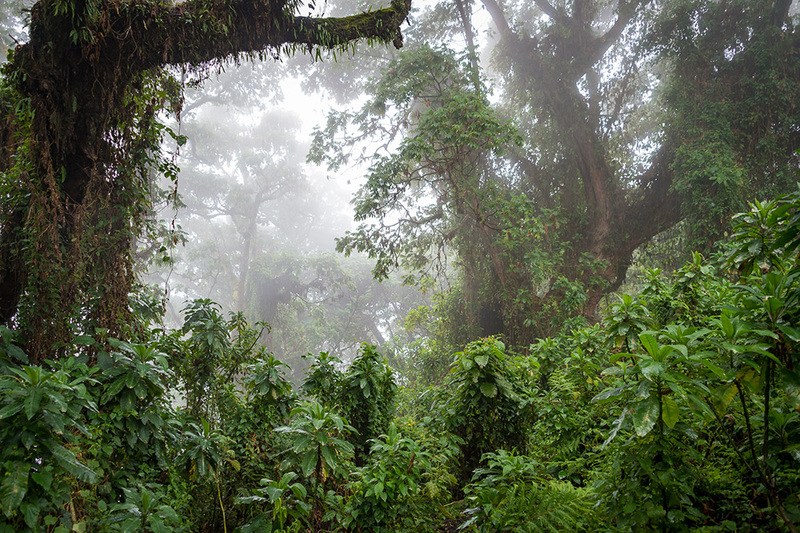 Supporting the community and ensuring conservation of the environment are inextricably linked. It’s important to involve and educate the local community about the value of protecting Africa’s animals and plant life. 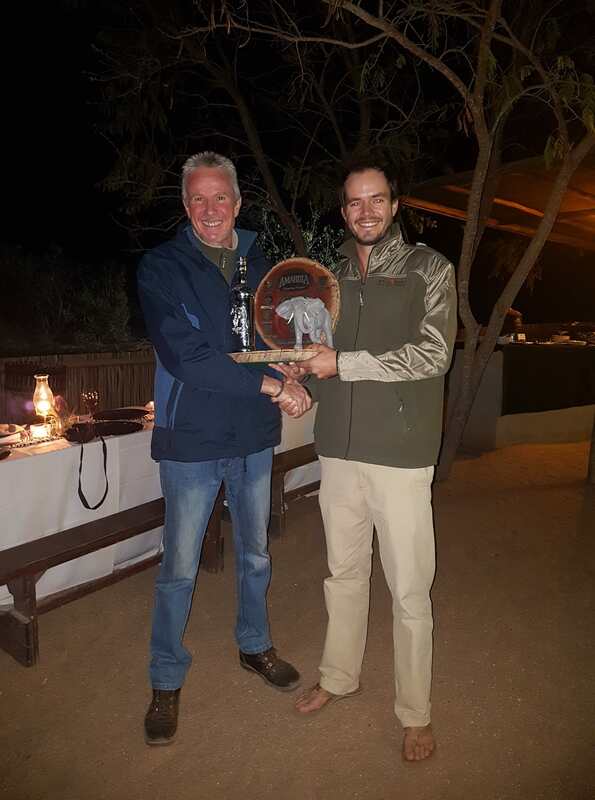 The aim is to show people how sustainable tourism can uplift communities and the irreparable damage subsistence poaching and trophy hunting does. The Farmstead land is leased from the local community and will employ, train and develop locals. After the long-term lease, The Royal Portfolio has ensured that the land and asset will revert to the community with the option to continue working with The Royal Portfolio. The Royal Portfolio will also involve the local community in conservation efforts to preserve our precious fauna and flora of South Africa. The Farmstead is easily accessible by road or by air. 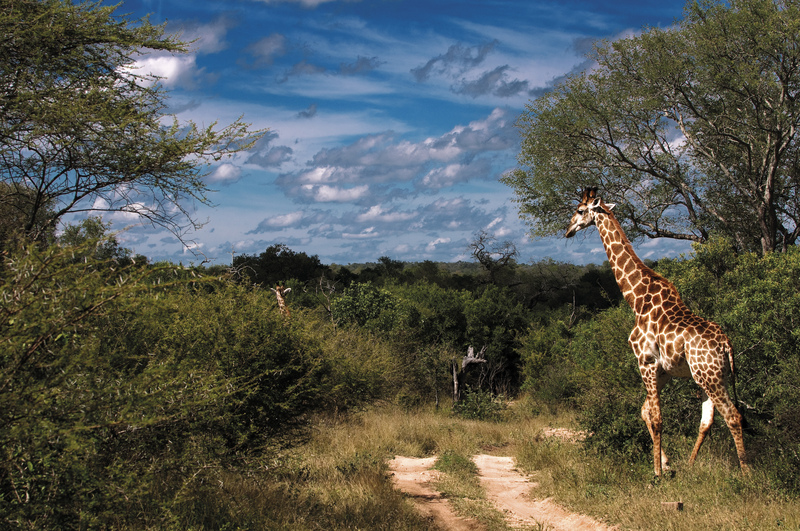 Iconic Africa suggests an easy flight from Johannesburg O.R. Tambo International Airport and a short 35 minute road transfer in a comfortable air-conditioned vehicle. Alternatively, an easy flight from Cape Town into Kruger Mpumalanga International Airport followed by an air transfer directly into Royal Malewane’s private airfield can be arranged. 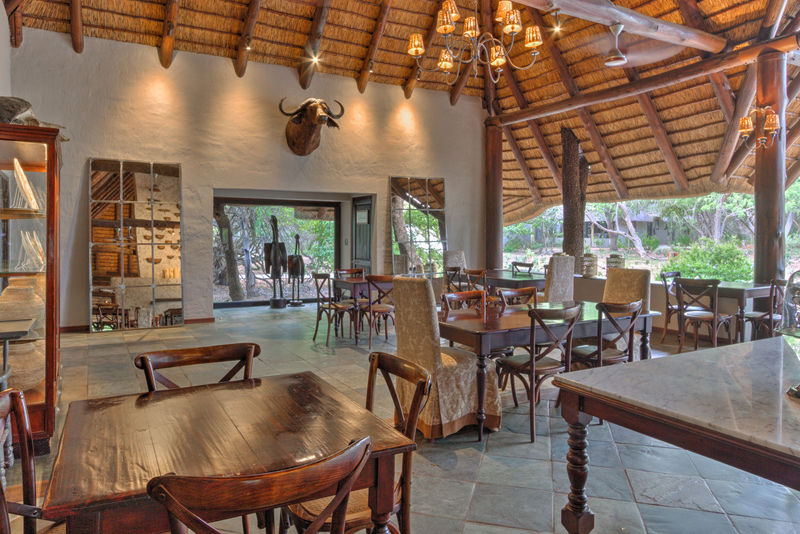 The Farmstead is a short drive south from the main lodge at Royal Malewane. Children over 10 are welcome in the Luxury Farm Suites while children of all ages are welcome in the Farmhouse. Enjoy starlit evenings around the sunken fire pit. 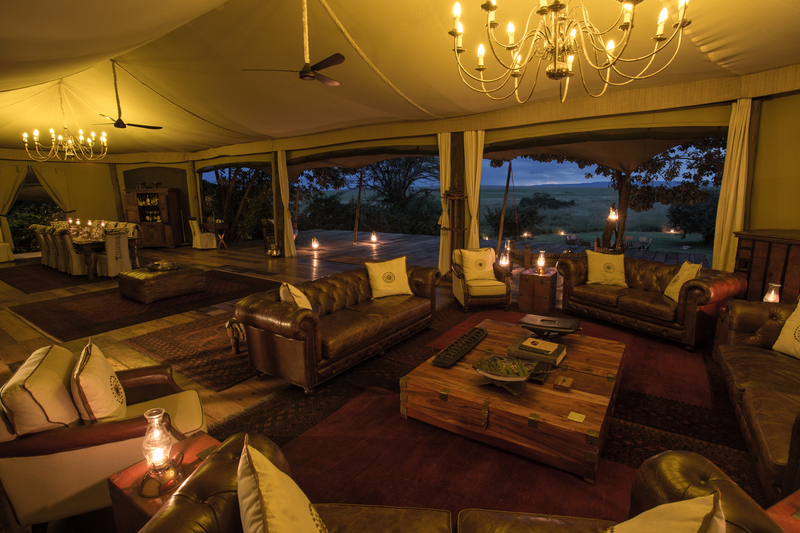 The Farmhouse offers private services and includes a dedicated chef, butler, housekeeper, safari vehicle, ranger and tracker. 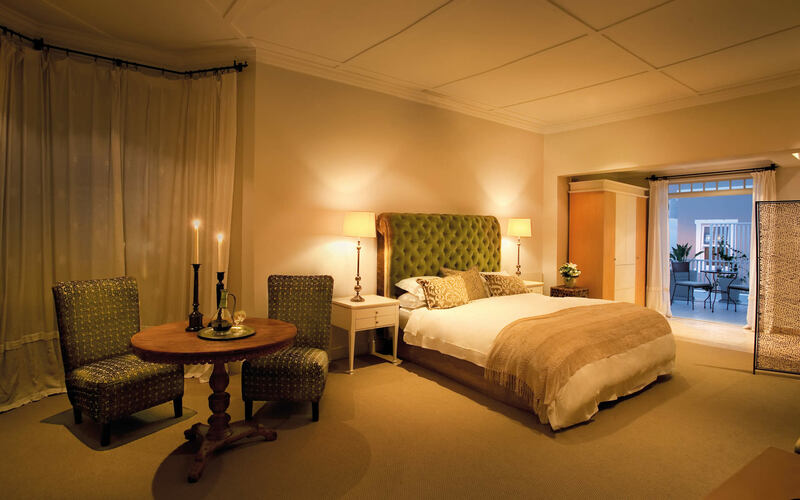 The Farmstead is ideal for the exclusive use of up to 14 guests. There is a double spa treatment room at The Farmstead for couple’s down-time. 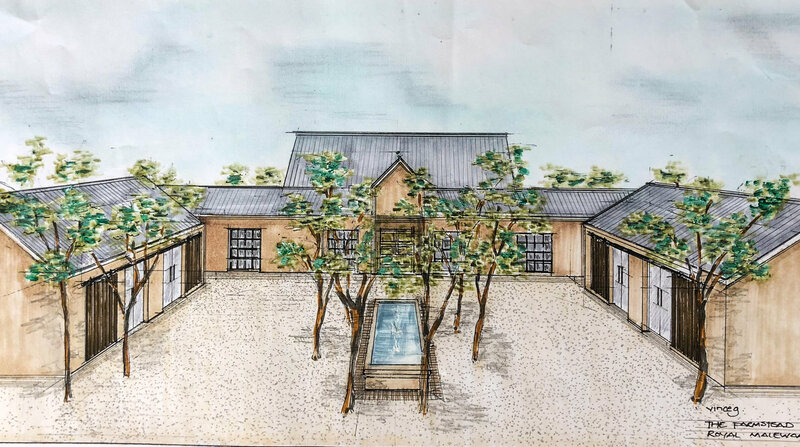 For more on the Farmstead contact us here. Have you already run out of gift ideas? There’s no better surprise than a triple-decker delight! 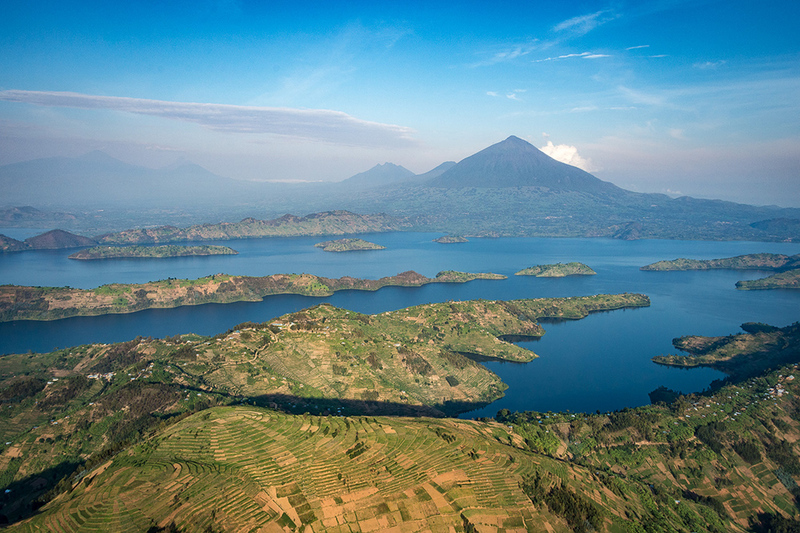 Not just one, but three amazing hand-picked luxury destinations. 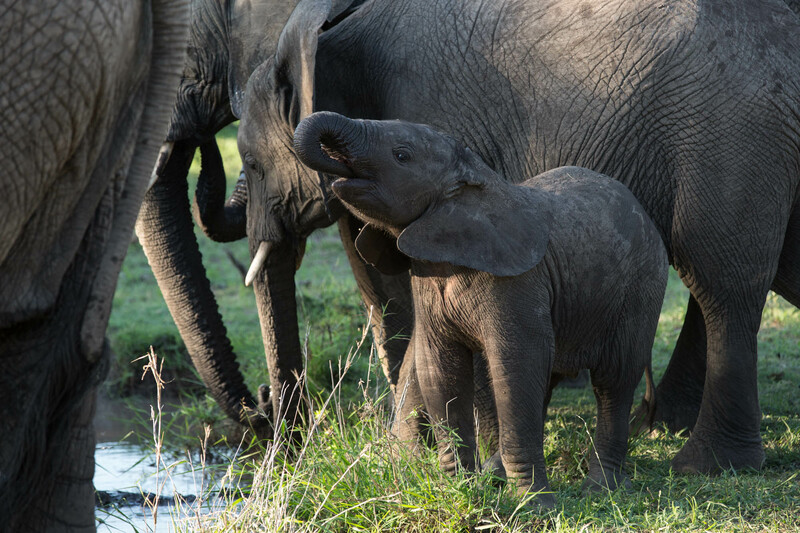 Experience Africa at its very best with this sensational 11 day tour including Cape Town, the Sabi Sands Private Game Reserve and Victoria Falls, Zimbabwe.This is your chance to have that beach paradise and bush safari experience all in one. 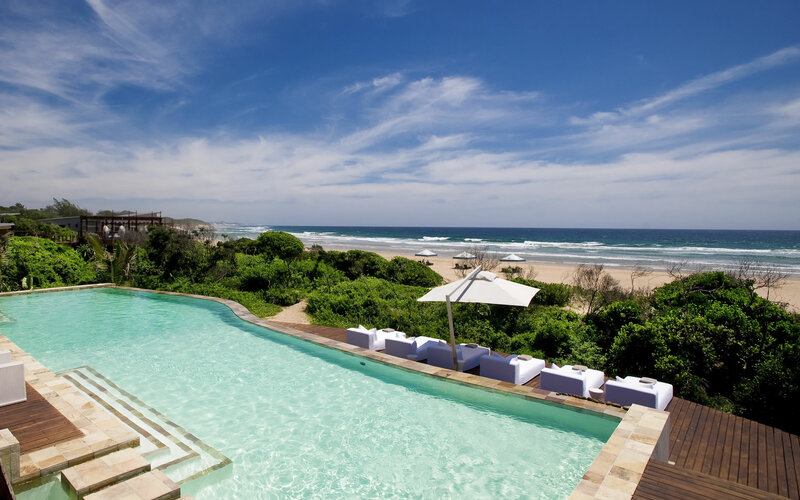 Book before the 30th November and SAVE OVER 35%. 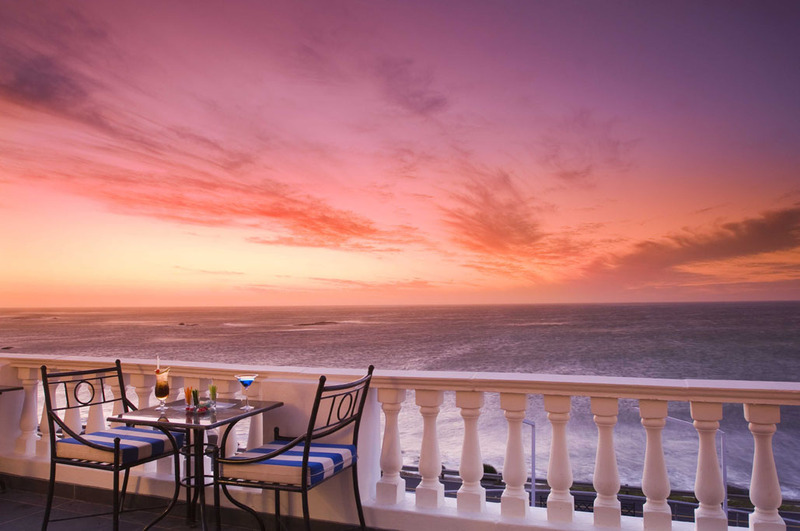 Spend your first 4 nights at the decadent Twelve Apostles Hotel & Spa nestled into the side of Table Mountain. 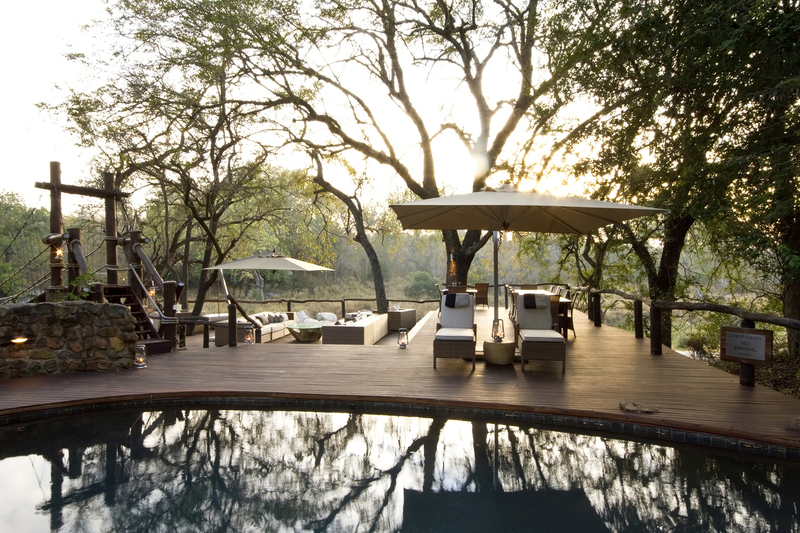 You’ll then be chartered and transferred to Dulini Lodge in the Sabi Sands Private Game Reserve for 4 nights. 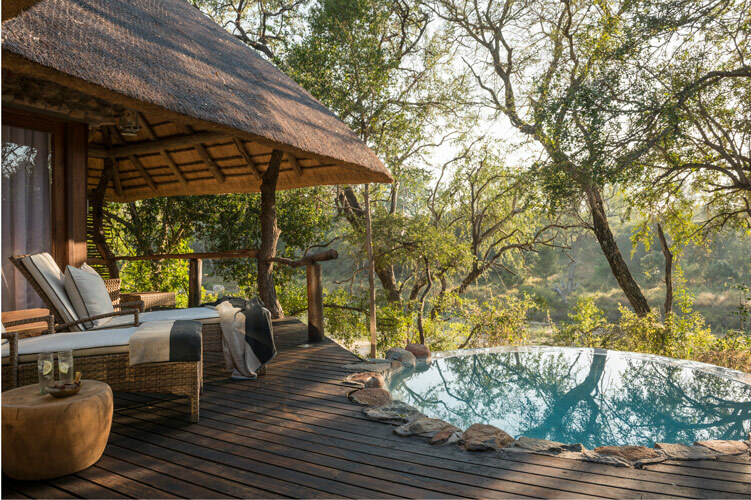 The splendour of Dulini Game Reserve lies in the exclusivity of its luxurious lodges, incredible wildlife and talented trackers. 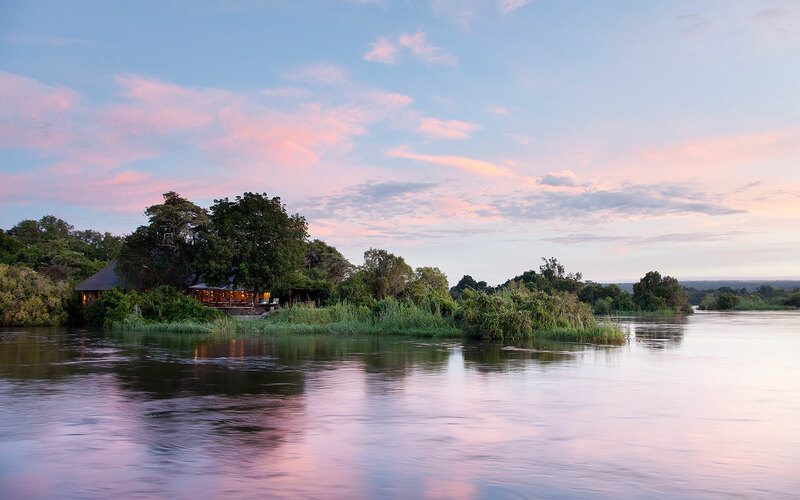 End off your trip with 3 magical nights at the Victoria Falls River Lodge Luxury Tented Suites in Victoria Falls, Zimbabwe. Meet and Greet at Cape Town International Airport. 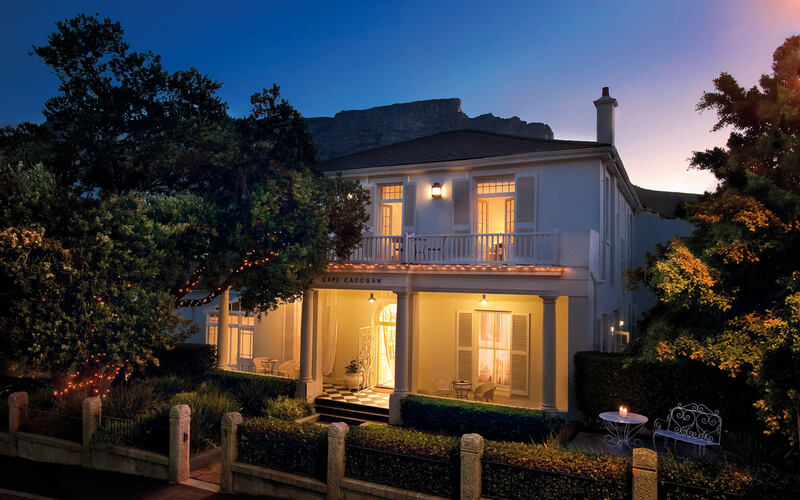 Return private road transfers between Cape Town Airport and the 12 Apostles. Scheduled flight from Cape Town via Nelspruit to Ulusaba Airstrip. 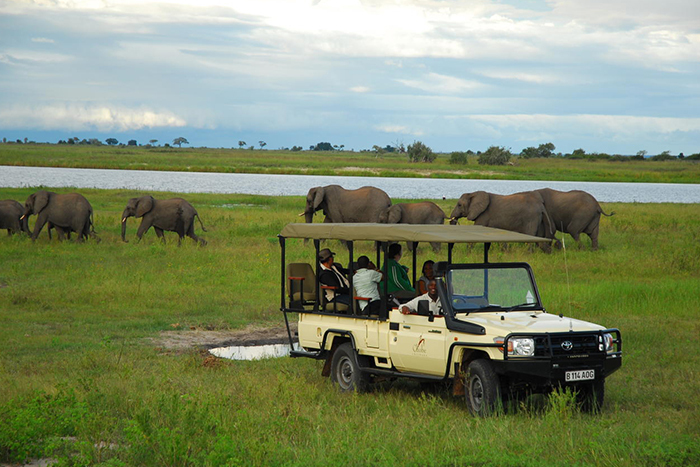 Return 4×4 game drive vehicle transfers between Ulusaba Airstrip and Dulini Lodge, Sabi Sand Game Reserve. 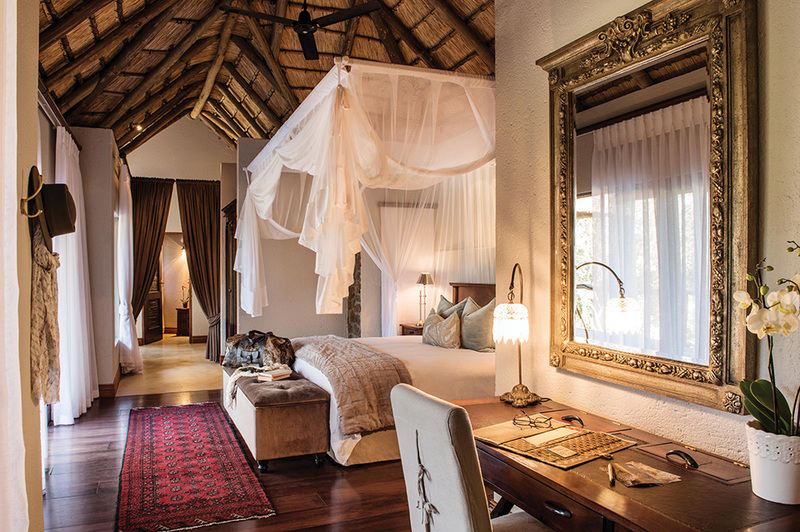 3 night’s accommodation at Dulini Lodge in a Luxury Suite on a fully inclusive basis. Scheduled flight from Ulusaba Airstrip to Nelspruit Airport. Scheduled flight from Nelspruit Airport to Livingstsone Airport, Zambia. Meet and Greet and private cross border road transfer from Livingstone Airport to Victoria Falls River Lodge. 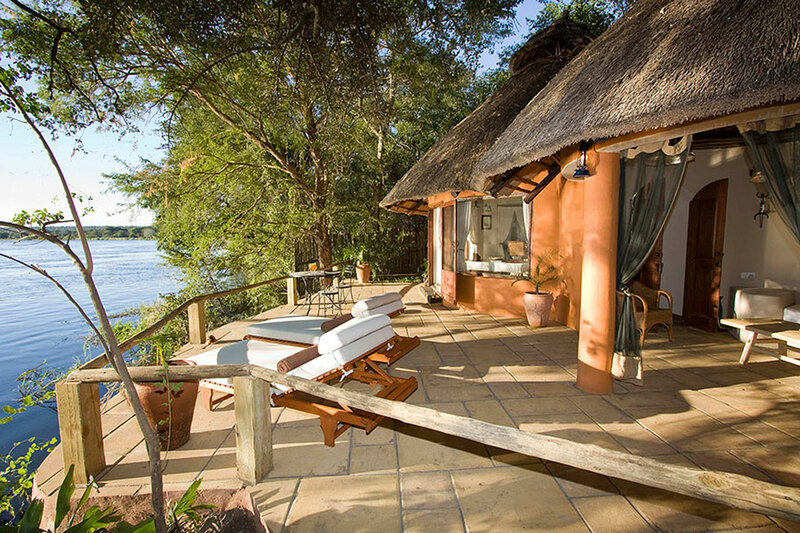 4 night’s accommodation at Victoria Falls River Lodge in a Luxury Tent on a fully inclusive basis. Road transfer from Victoria Falls River Lodge to Victoria Falls Airport. Scheduled flight from Victoria Falls Airport to OR Tambo International Airport, Johannesburg, South Africa. KazaUni Visa entry fee Zambia & Zimbabwe at USD50 per person. Book before 30th November at the absolute latest to qualify for this deal. Valid for travel between 05 January and 31 March 2019. This deal is subject to currency fluctuations and seat and accommodation availability at time of booking. Tour length can be extended/reduced if required and all properties can be booked as standalone, subject to T&C’s. For other Black Friday tours, look here. 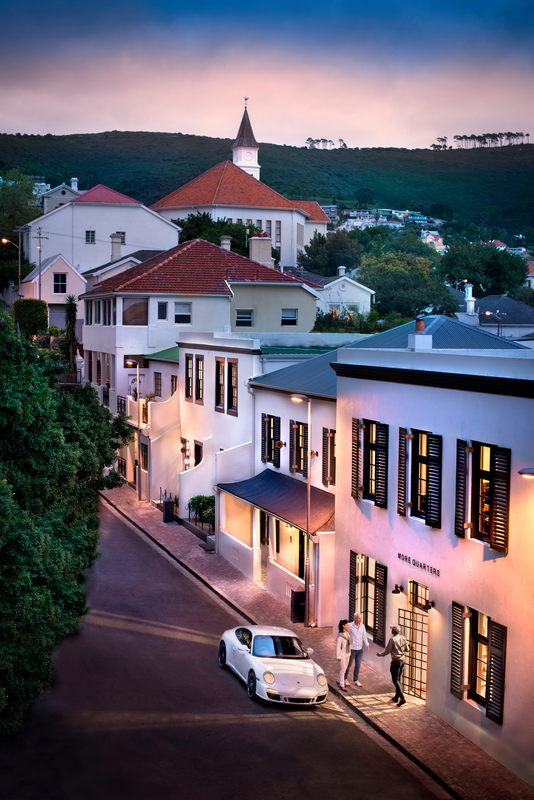 Return private transfers between Cape Town Airport and Cape Cadogan Boutique Hotel. 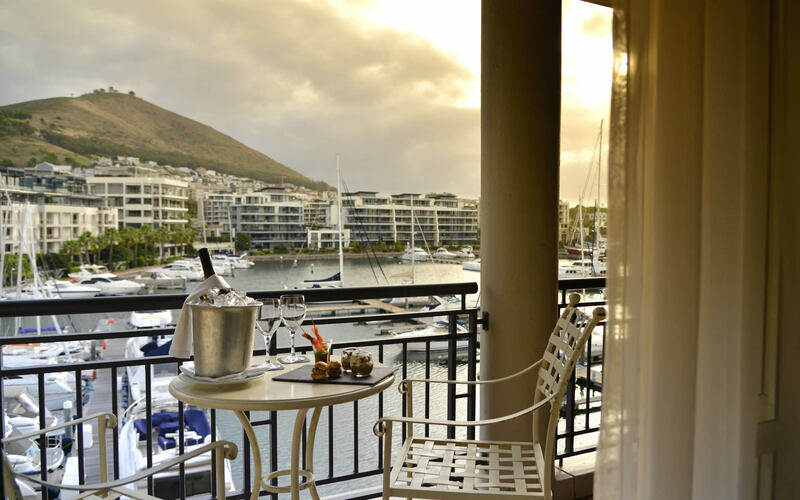 4 night’s accommodation at Cape Cadogan Boutique Hotel in a Luxury Room on a bed and breakfast basis. Scheduled flight from Cape Town to Skukuza Airport. 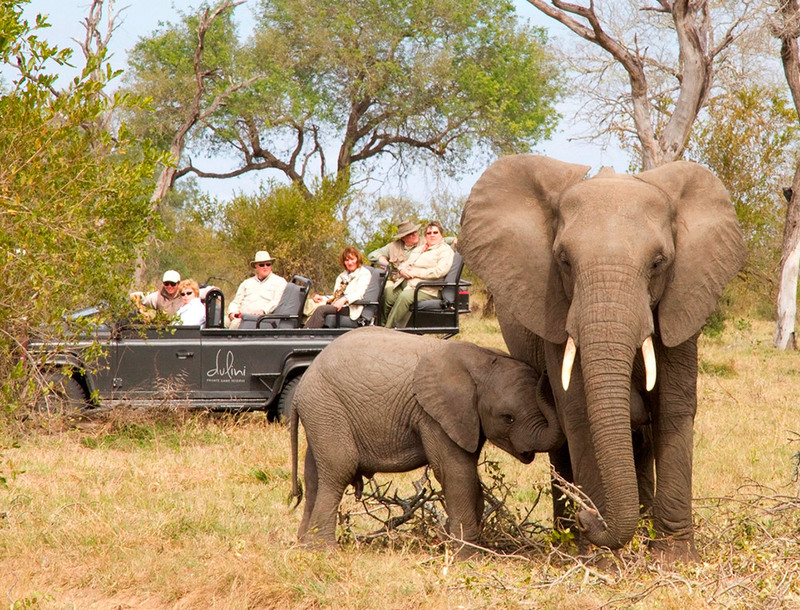 Return 4×4 game drive vehicle transfers between Skukuza Airport and Lion Sands River Lodge, Sabi Sand Game Reserve. 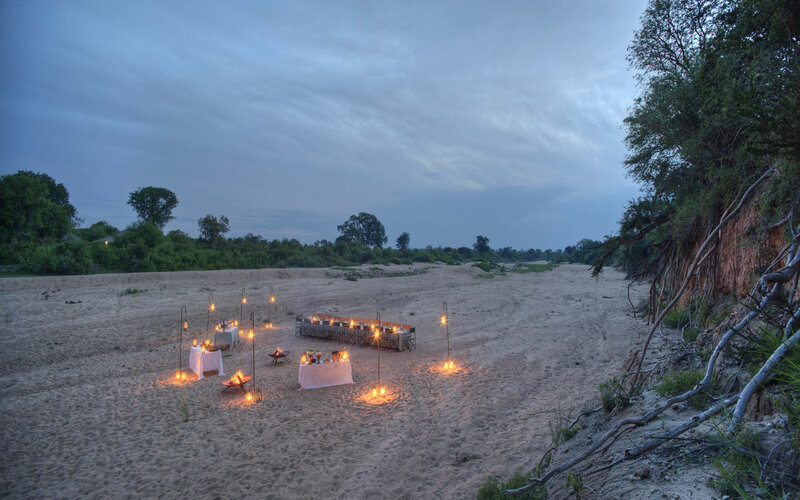 3 night’s accommodation at Lion Sands River Lodge in a Luxury Room on a fully inclusive basis. Scheduled flight from Skukuza Airport to Nelspruit Airport. Scheduled flight from Nelspruit Airport to Livingstone Airport, Zambia. Meet and Greet and private cross border road transfer from Livingstone Airport to the Stanley & Livingstone Boutique Hotel. 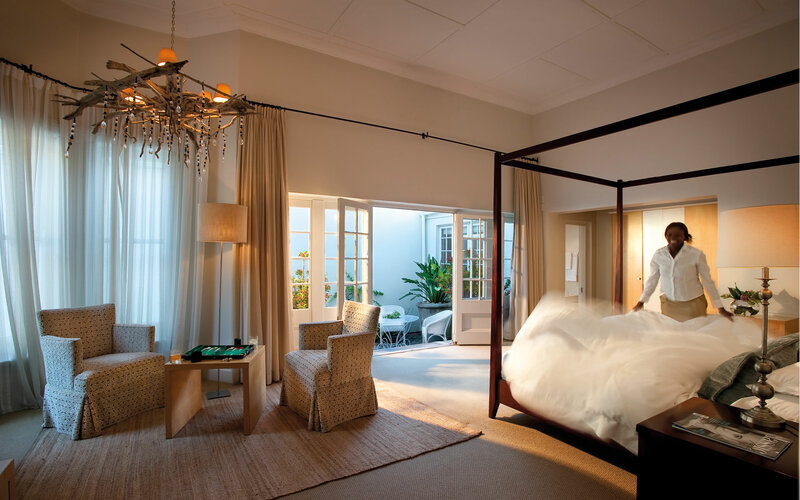 3 night’s accommodation at Stanley & Livingstone Boutique Hotel in a Luxury Suite on a half board basis. Transfer from Stanley & Livingstone Boutique Hotel to Victoria Falls Airport. 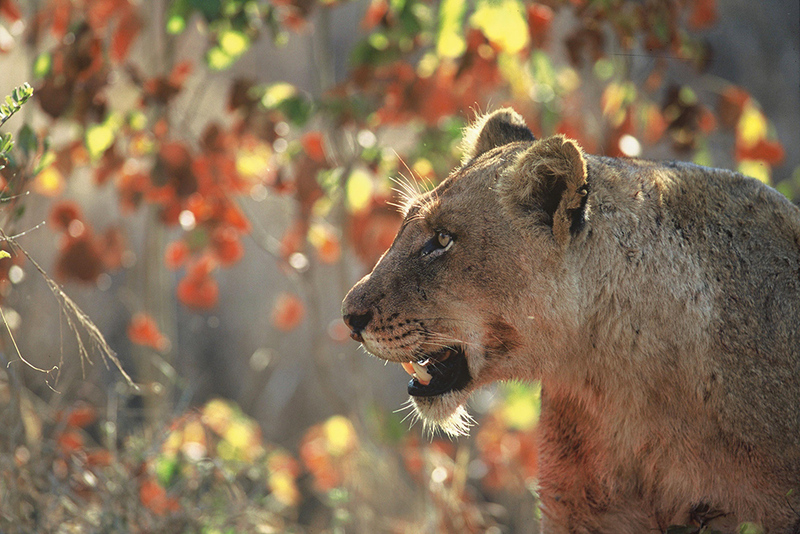 The Kruger National Park is a world-famous sanctuary to both animals and humans alike. 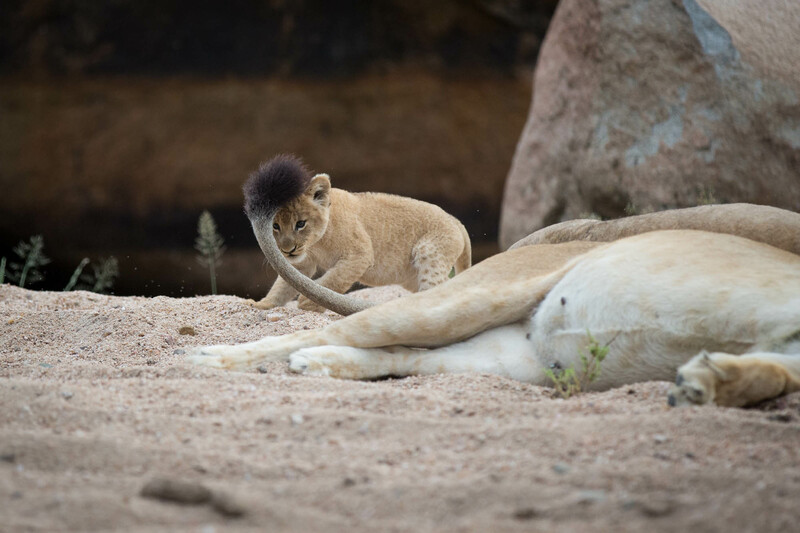 Established in 1898 to protect the wildlife of South Africa, the park offers visitors an unparalleled experience that is ranked with the best in the world. 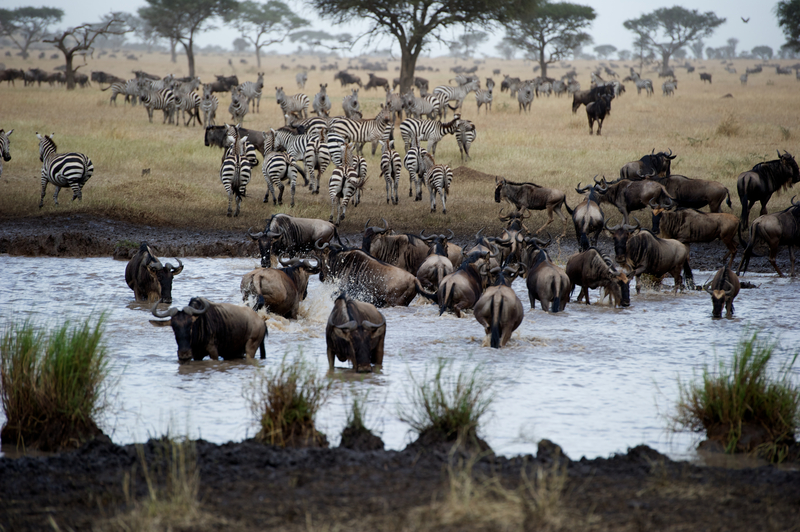 Here you will witness some of the greatest wildlife sightings in Africa. 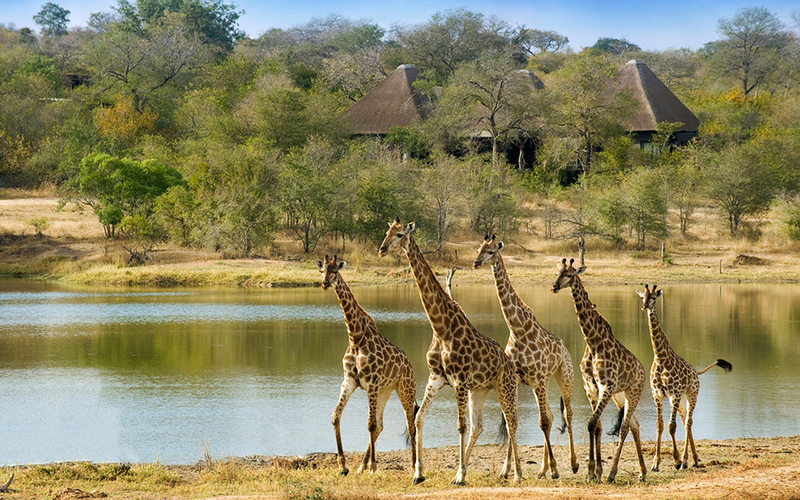 The Kruger is home to all of our iconic safari friends – the Big Five, the cheetah, giraffe, hippo, zebra and so many others. 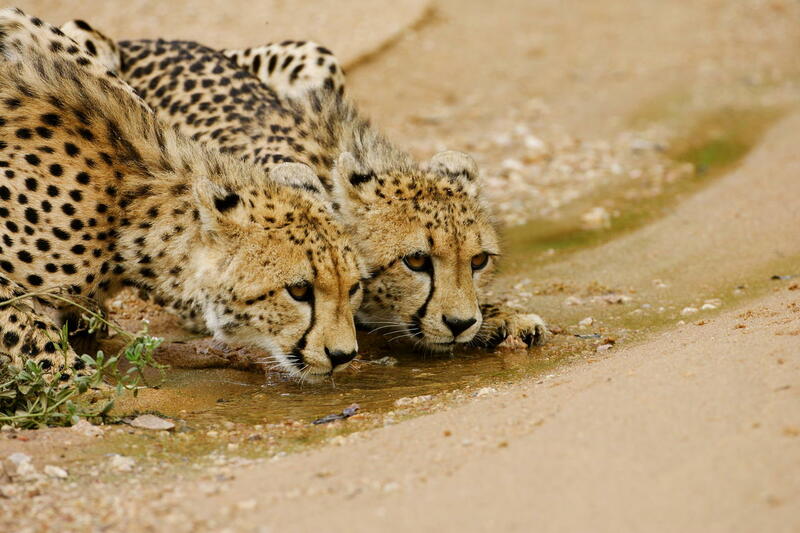 These majestic species share the bushveld with 147 other mammals and hundreds of bird species. 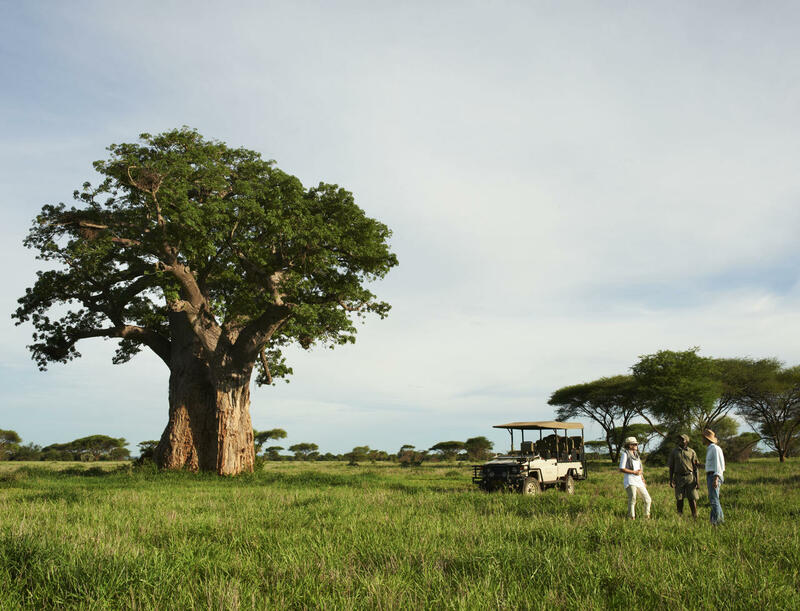 These impressive numbers don’t end here: This enormous park showcases 336 different kinds of trees, including the Baobab, Fever Tree, Knob Thorn, Marula, Mopane; 49 fish species; various amphibians and not forgetting our reptile friends. 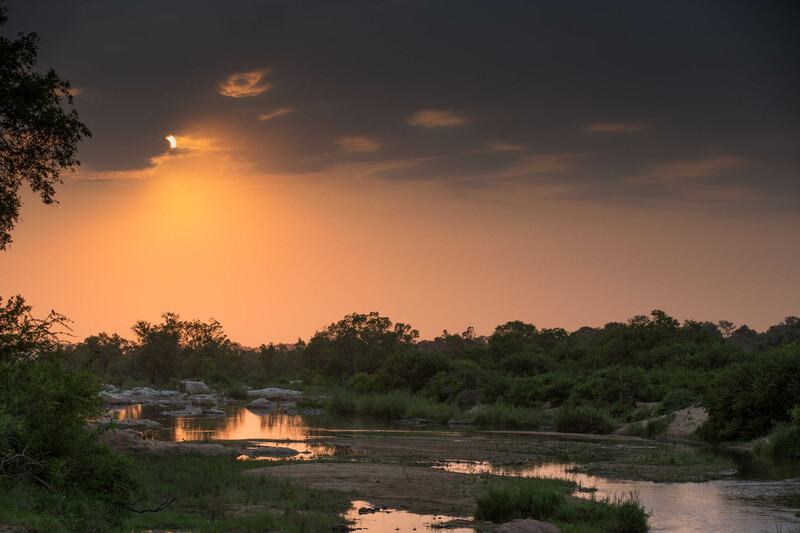 The quickest way to begin your amazing journey through the Kruger National Park is to fly into O.R. Tambo International Airport in Johannesburg. From here you can catch a connecting flight goes to Nelspruit Airport or Kruger Mpumalanga International Airport (MQP) if you plan to visit the southern part of the Kruger. 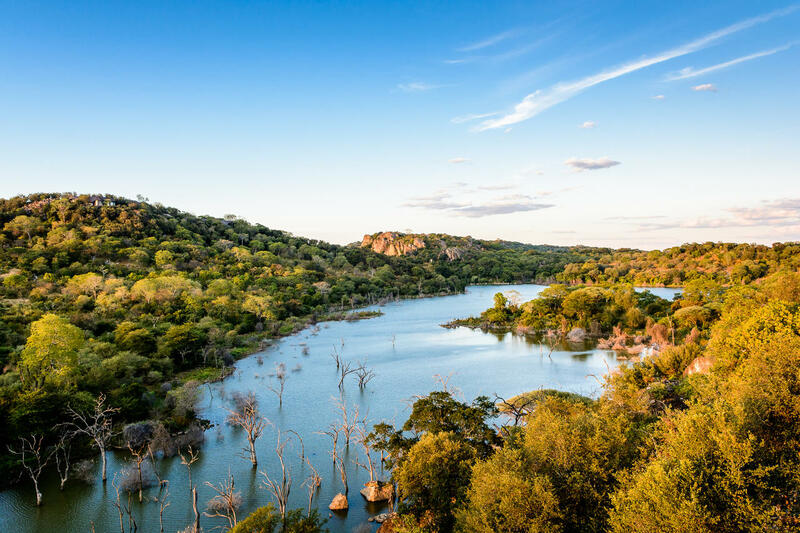 Covering nearly 2 million hectares of pristine and untouched wilderness, the park sustains a diversity of ecosystems, history and archaeological sites like the Masorini and Thulamela. There are nearly 254 recorded cultural heritage sites in the park, of which 130 are rock art sites. When you aren’t too busy looking for lions and cheetahs, Take a moment to spot bushman rock paintings as well! 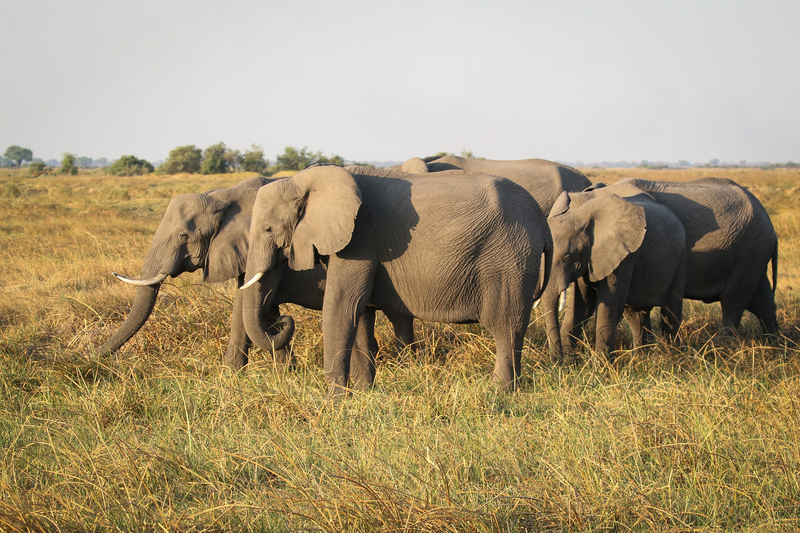 The Kruger National Park is also a frontrunner in advanced environmental management techniques and policies – especially regarding our beloved elephants. 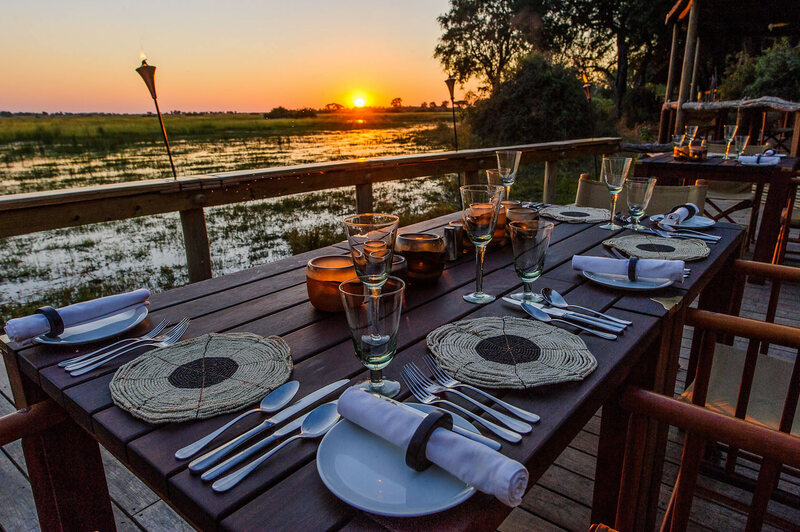 With over 30 accommodations – from bush camps to luxury lodges – and dozens of activities and top sights, you are guaranteed an exciting and memorable time at one of the world’s most prestigious wildlife watching destinations. Remember that early mornings and evening drives are usually when wildlife is most active –it’s worth your while to wake up early if you’ll get to see. 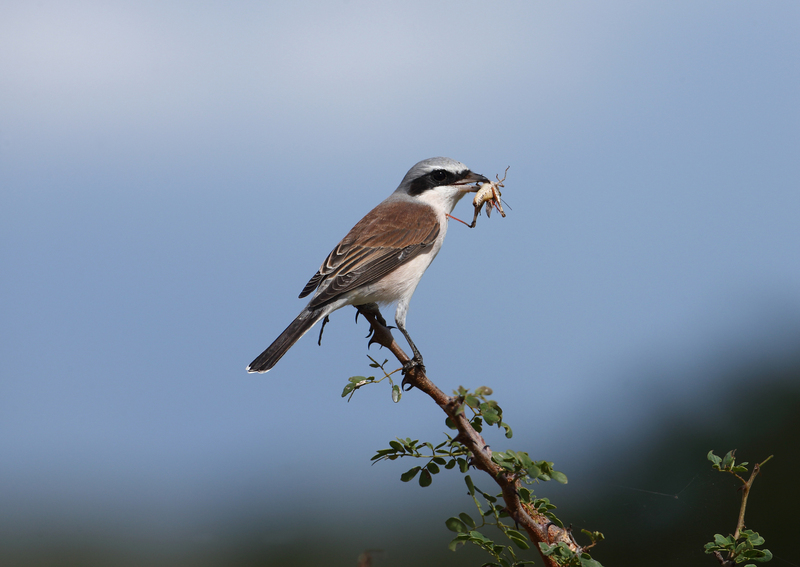 If you’re an avid birder, look out for the Ground Hornbill, Kori Bustard, Lappet- faced Vulture, Martial Eagle, Pel’s Fishing Owl and Saddle-bill Stork and don’t forget that zoom lens and an extra SD card. 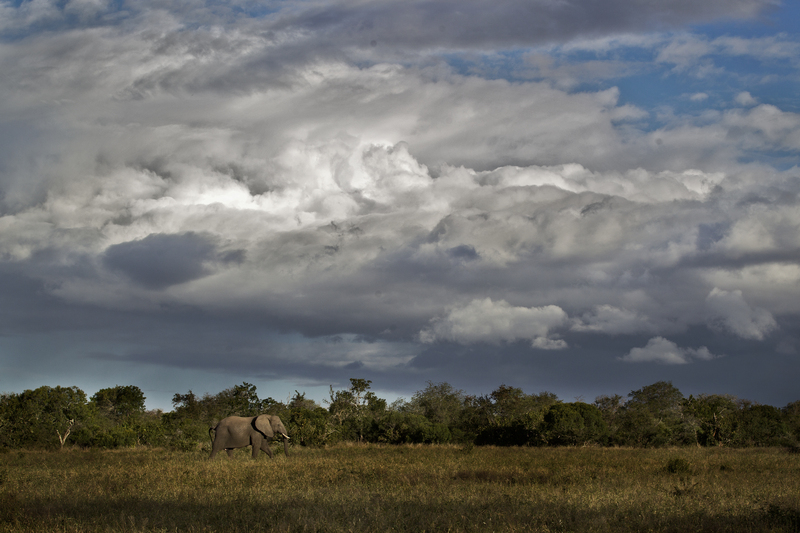 The Kruger National Park’s sheer size is unimaginable to first-timers. Don’t try to cover too great a distance in a short time. This massive tract of land would love to see your return soon! 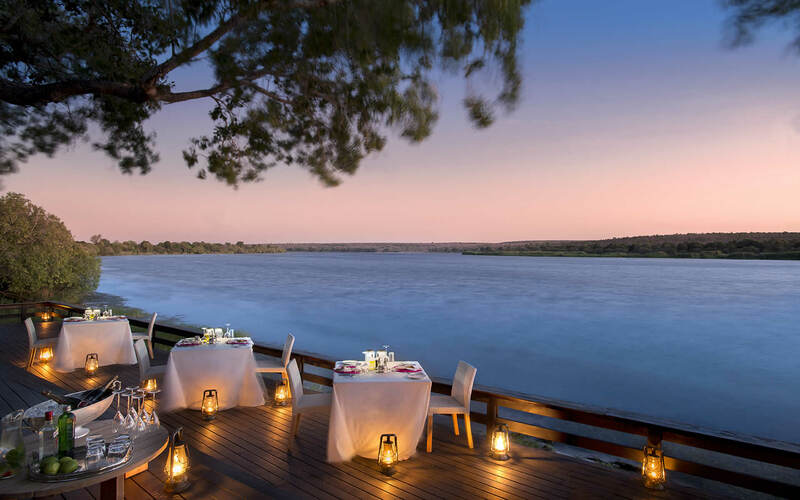 So enjoy a slow travel and stop regularly to see as much action as the great outdoors has to offer… For our most favourite spots to stay in the Kruger click here. 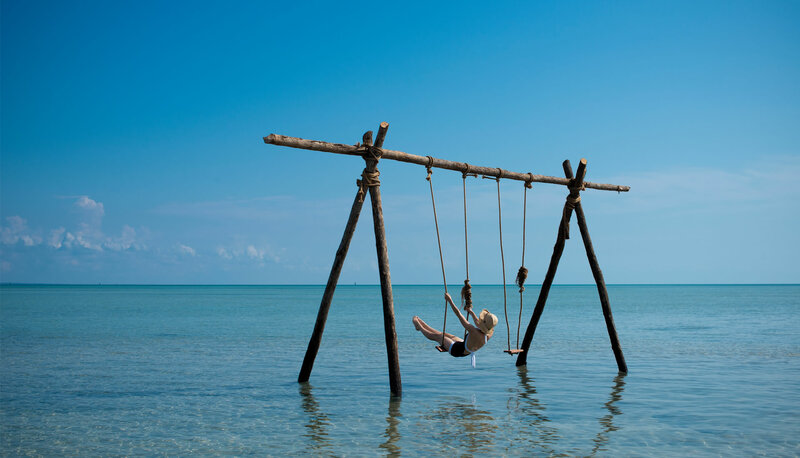 Vacations are synonymous with relaxation, unwinding and ‘switching off’. 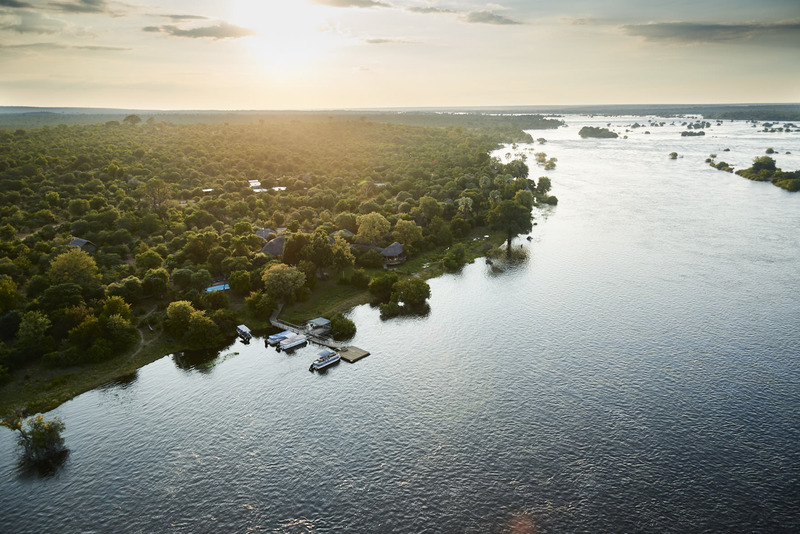 Many travellers, couples and families head to destinations where they have no access to WI-FI, cell service, or contact with the outside world. It is a time for rejuvenation, healing and time spent with loved ones. There’s probably a link between increased endorphins and setting up your out-of-office reply, but not everyone has the advantage of a Monday to Friday work-week or enough leave days to actually vacate reality and escape. In this day and age – many of us take our work with us, everywhere, even on vacation. This has progressed the mobile office space to a new level, and has recently been referred to as a ‘workation’. Sometimes a change of environment is enough to catch a break. The watercolour sunsets and mirages may even bring inspiration. This new way of working has seen many travel-hungry businessmen successfully accomplish tasks while seeing the world. But internet connectivity in some parts of the world can be sporadic at best and remote areas often have poor signal, let alone bandwith. Unreliable connections makes checking-in and social engagement a frustrating experience. 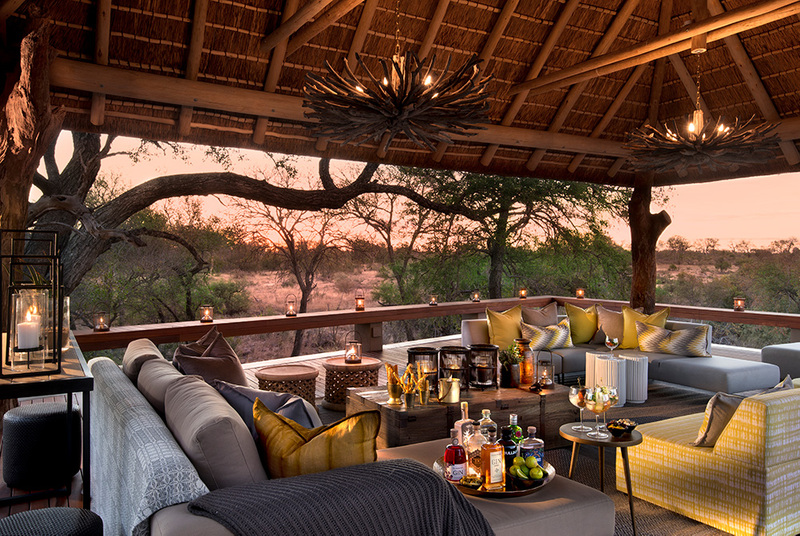 The possibility is that you would rather want to take in Madikwe’s panoramic views instead of hear your message notifications come in, but this luxury safari lodge offers guests excellent complimentary WI-FI throughout the lodge, laptop loans and business facilities for those who like to travel light. Here’s an opportunity to work hard and play hard. 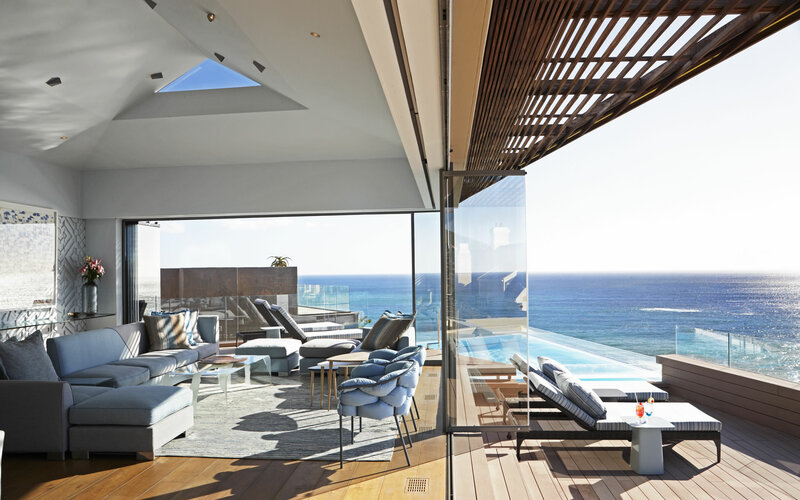 It is almost certain that you will have the chance to swim amongst dolphins or view migrating humpback whales while you’re strolling on the beach or reclining on your private deck. 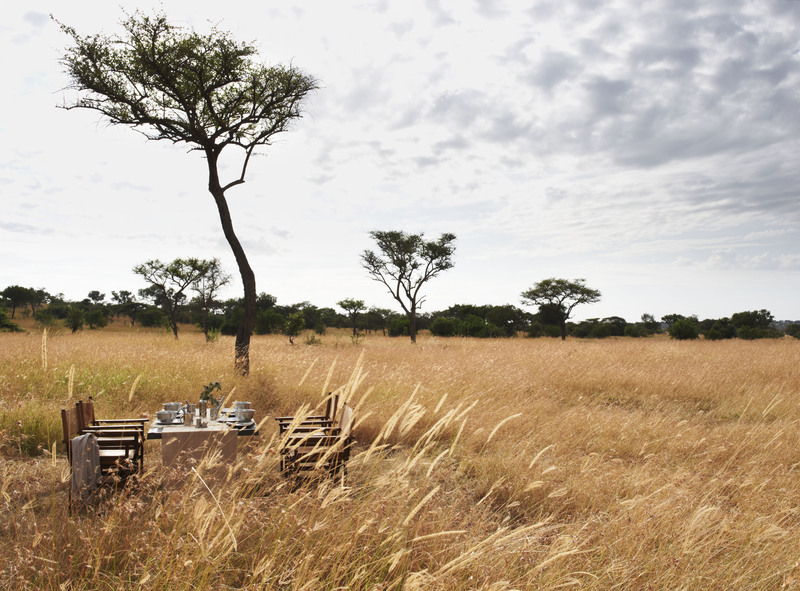 This ultimate African experience may inspire some creativity or give you the motivation to finish that task! While the guest areas have been designed for relaxation and romance, stretch out on your bed or day lounger and keep updated or simply post those magnificent pictures of the crystal blue water using the complimentary high-speed Wi-Fi. Kenya is unparalleled in sceneries and adventure and Mara Plains Camp rolls both into one at one of the most iconic destinations in Africa. It’s not only millennials that will have a hard time not sharing these magical moments with the world as it happens. Luckily, Safaricom provides a decent 3G network in most parts of Kenya, and Mara Plains Camp offers mobile network to guests. 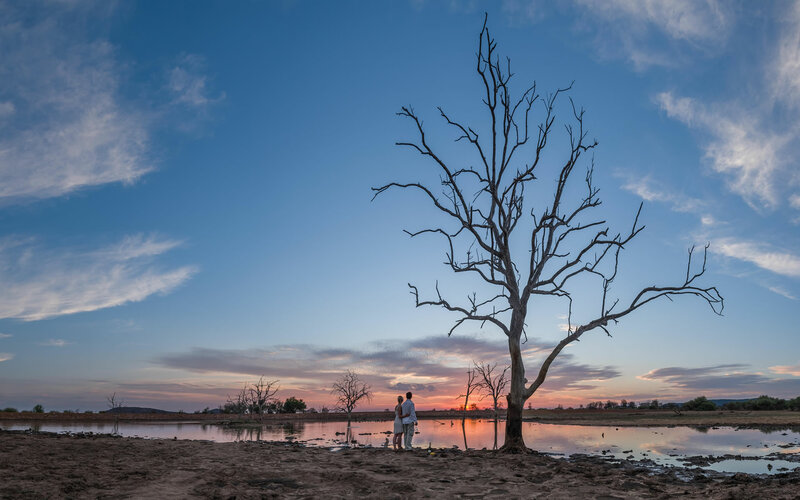 Most travellers head to Tongabezi for a romantic stay. But posting those dreamy pictures to your Instagram may be more important than work e-mails. 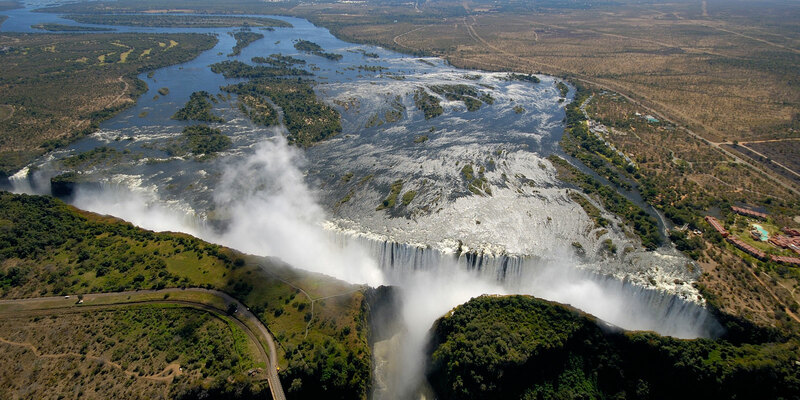 Catch up with loved ones and post those pictures that will have all your friends envious using the area around Victoria Falls and Livingstone’s mobile connectivity or Tongabezi’s uncapped Wi-Fi. May your travels take you where the signal is strong, but don’t forget to take the time to stop, switch off, submerge yourself in the amazing surroundings and let the magic of Africa wash over you. 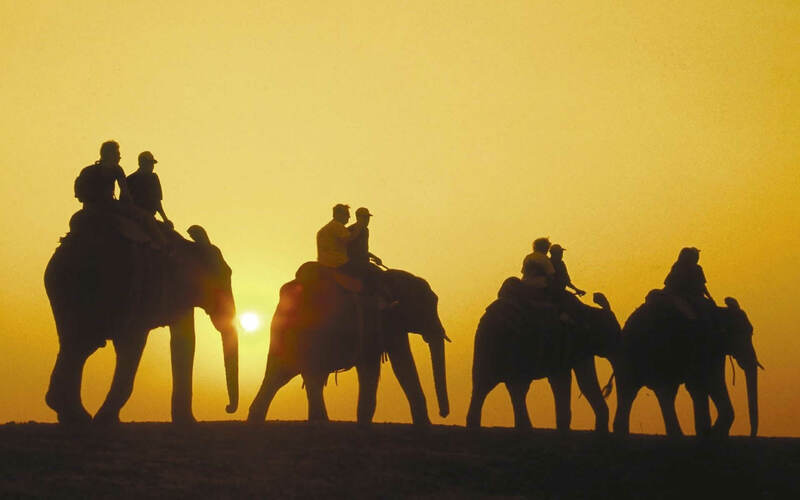 Ask any traveller who has returned from a safari…. it is the guide and his tracker who truly defines and provides a memorable experience. Africa acknowledges this and is proud to have some excellent guides in our midst. Unlike the insurmountable subjective “best of” lists, it is nice to know who is judging and based on what criteria. 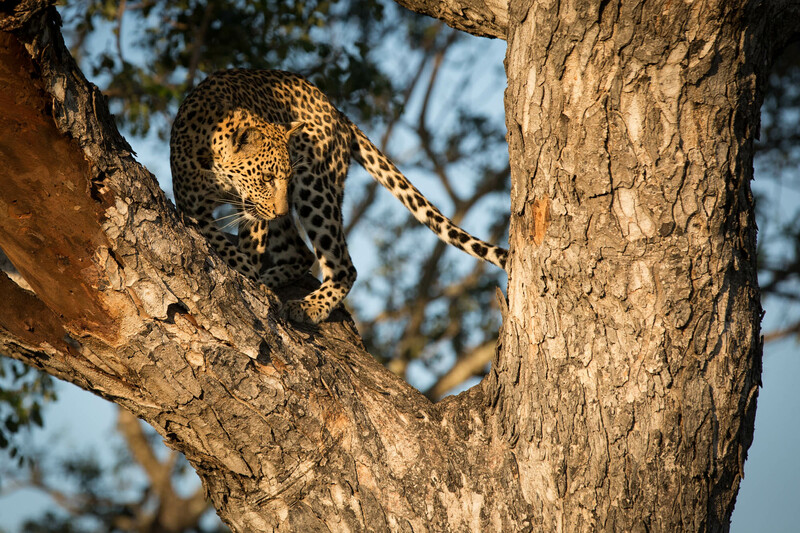 Through a process of elimination, Africa Direct in association with FGASA have assessed guides on numerous aspects such as tracking, game drives, guided walks, shooting, birding, story-telling and one of James’ finest achievements – photography. There is much more to an African safari than sitting in the back of a vehicle and passively watching the scenery and wildlife pass you by. The quality of your guide can be a determining factor and it takes a passionate and dedicated one to be able to tailor experiences to suit different guests. 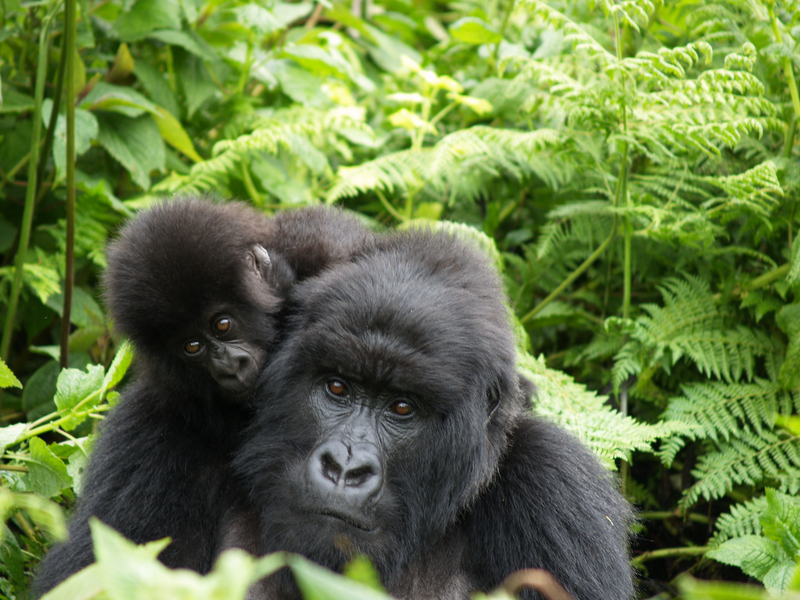 Tyrrell not only shows but teaches too – about safety, animal spotting, birds, knowledge of the wilderness and people. He shares his passions and invokes them in others, transforming a typical safari into an extra-ordinary one. While Tyrrell is fuelled simply by his love for what he does, let us boast about some of his accolades for him! Evolved game guide turned photographer and filmmaker, Tyrrell is one of the most grounded and well-rounded guys out there. Besides his accumulated years of experience and repeated emphasis on his passion, we can truly say he is living his dream! At an age where most kids are trying to correctly name colours and objects, Tyrrell was watching the documentary film ‘The Silent Hunter’ by co-founder of Londolozi, John Varty. Tyrrell’s film review was that Londolozi was the only place he would want to work at as a ranger. All kids have childhood dreams, Tyrrell saw his through! James of all trades, master of quite a few. 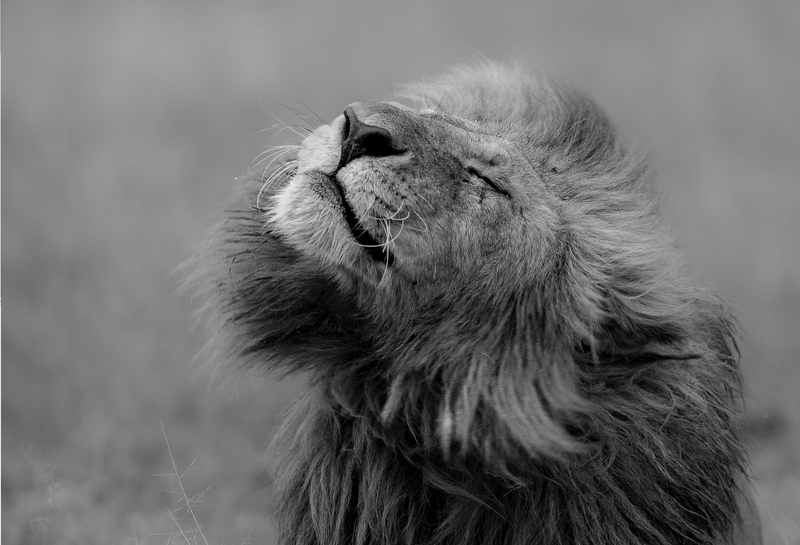 Arriving at Londolozi, Tyrrell had minimal experience behind the lens of a camera. 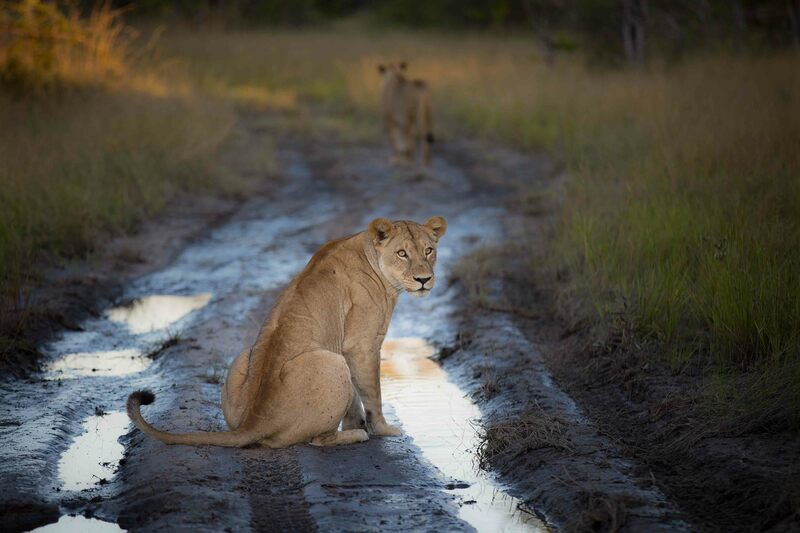 But with persistence, effort and a creative eye he now documents and shares stories of Londolozi and takes audiences on a visual journey from the comfort of their couch so that they may live vicariously through his South African perspective of the wilderness. Now everyone can share in and connect with the wonders of the bush! James has been interested in photography for years, but it was only after he moved to the bush that he began pursuing it professionally. These environments rich with photographic opportunities allowed him to develop his skillsand he now works as a specialist photographic guide as well. While most of us agree that Tyrrell should be in front of the camera once in a while, with that crooked smile and rugged beard under his brimmed hat, his passion and skill (not forgetting his natural ability to write) beckons him to be behind screens. Good luck James with all future endeavours. We know you will make a success of whatever you pursue and look forward to many more wonderful photos and articles from you. To get in touch with James Tyrrell or view more of his awesome photographs, visit his Instagram account.